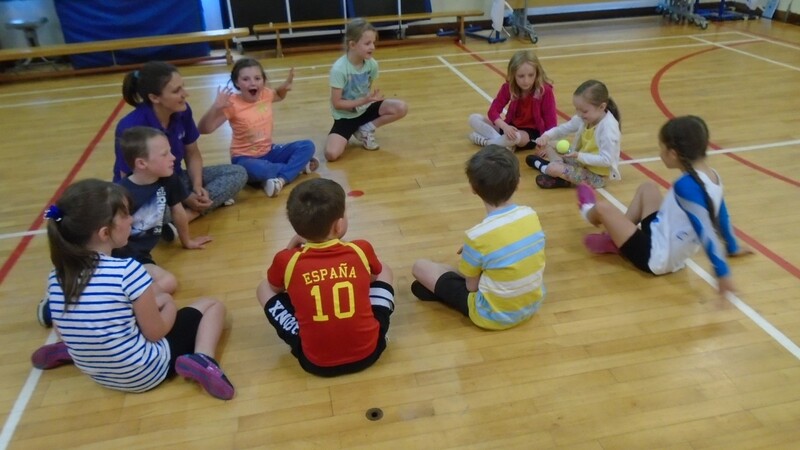 The boys and girls took part in a Relax Kids session with Vicky Mulholland today. 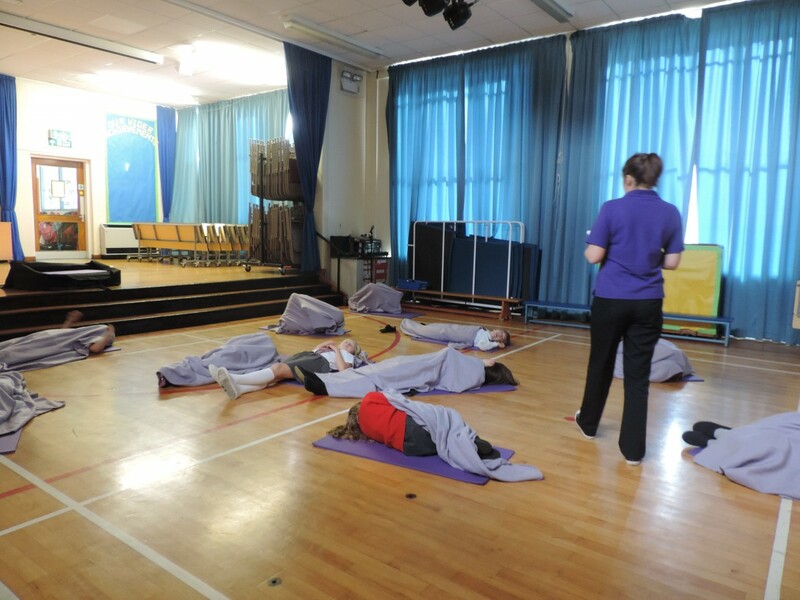 The children learned about some techniques which they can use to keep themselves calm and relaxed when they may feel stressed, or just need some time to chill out. 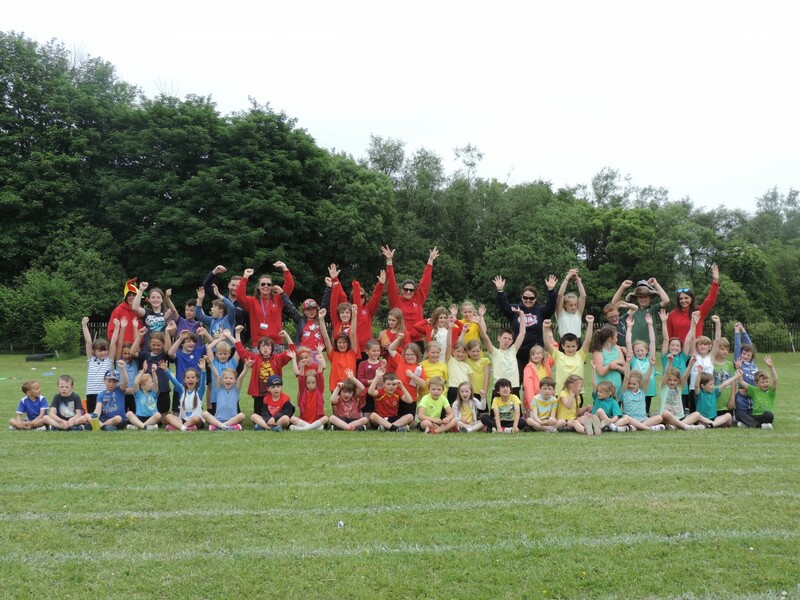 Our week finished with our annual Sports Day which saw Libo win first place! 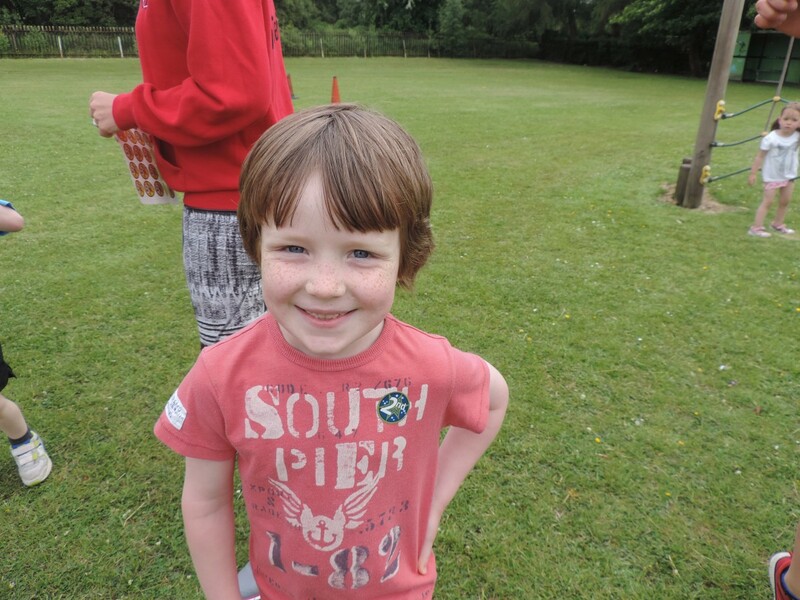 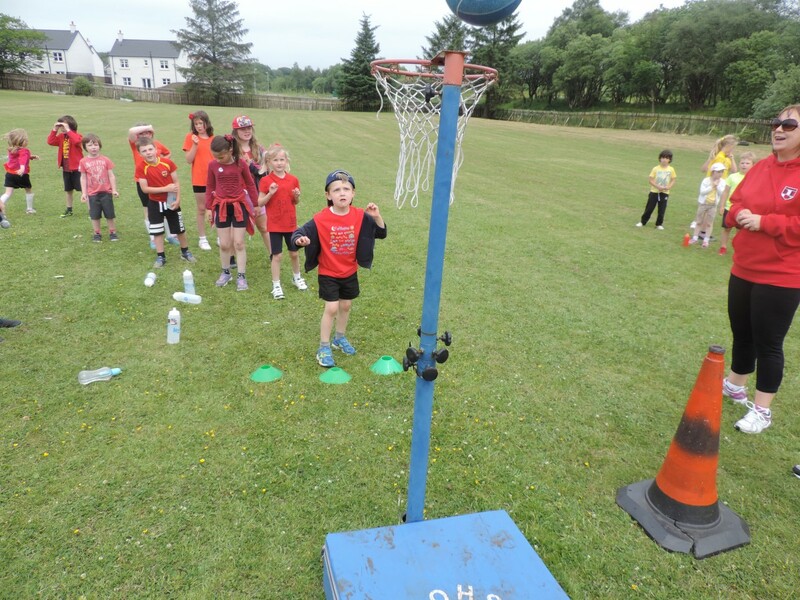 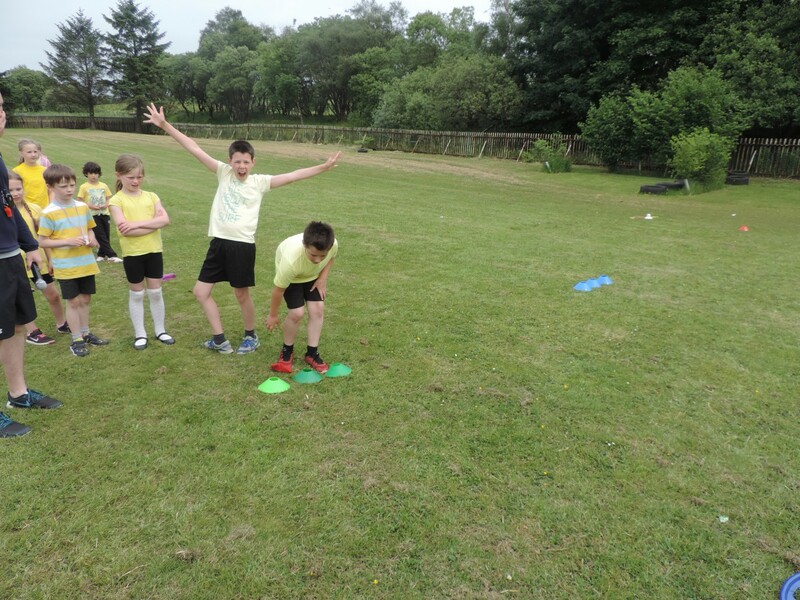 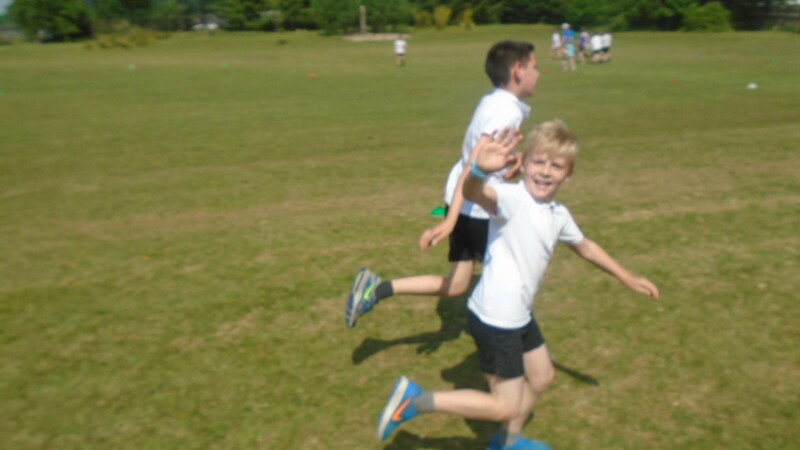 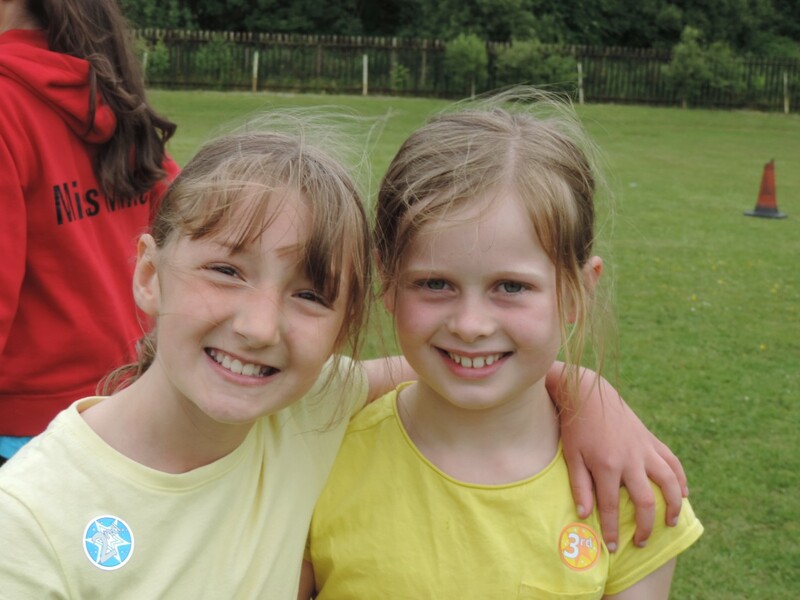 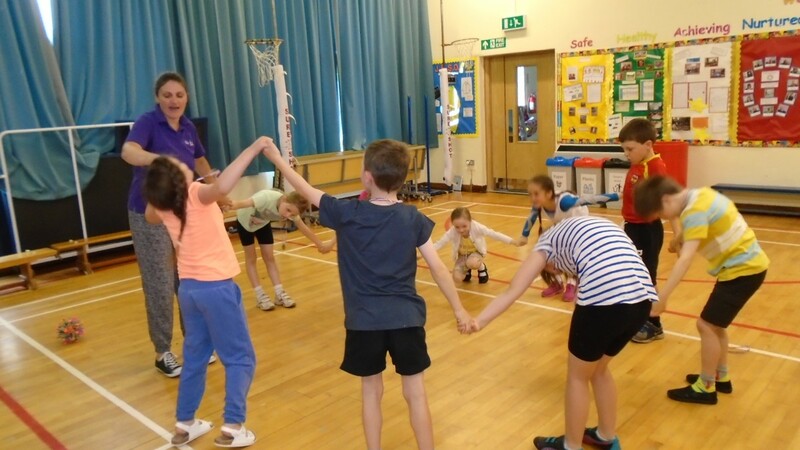 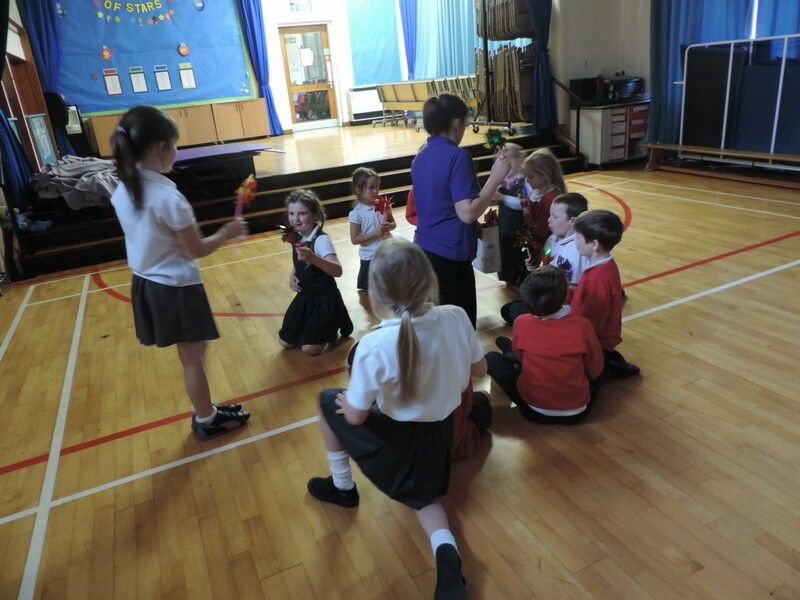 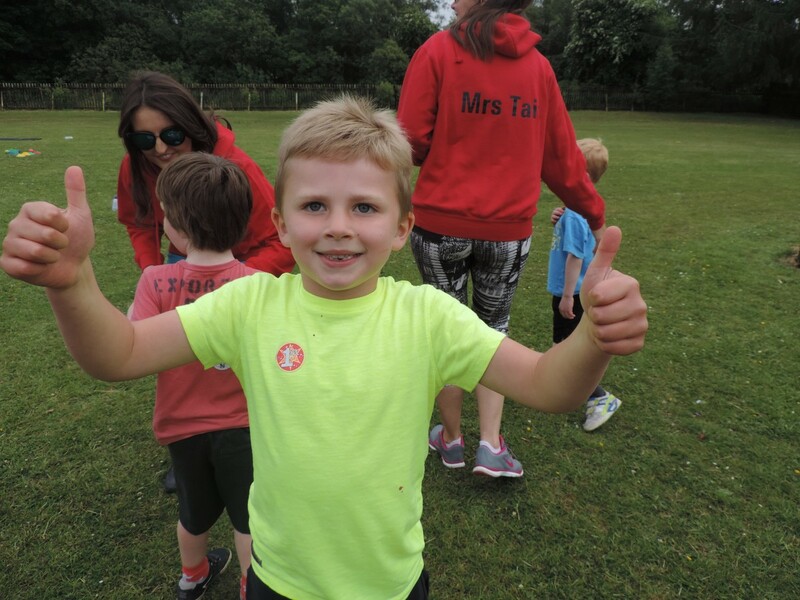 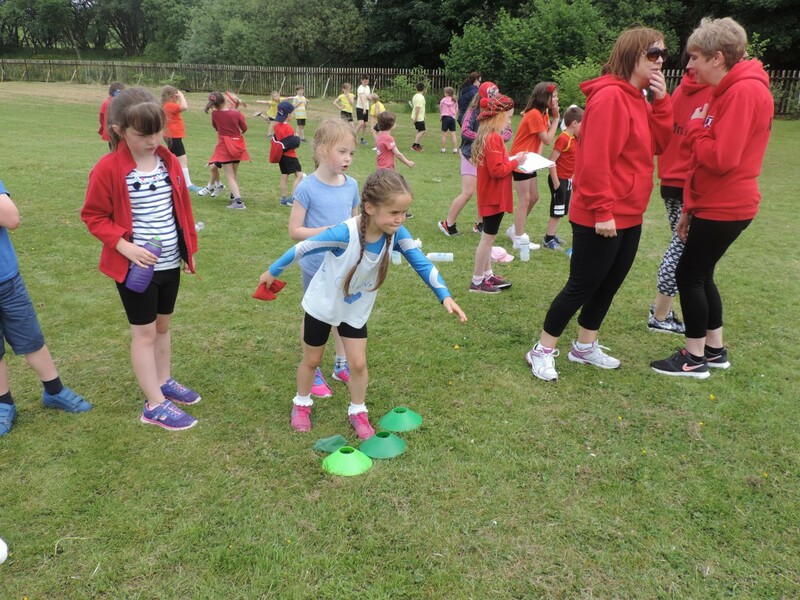 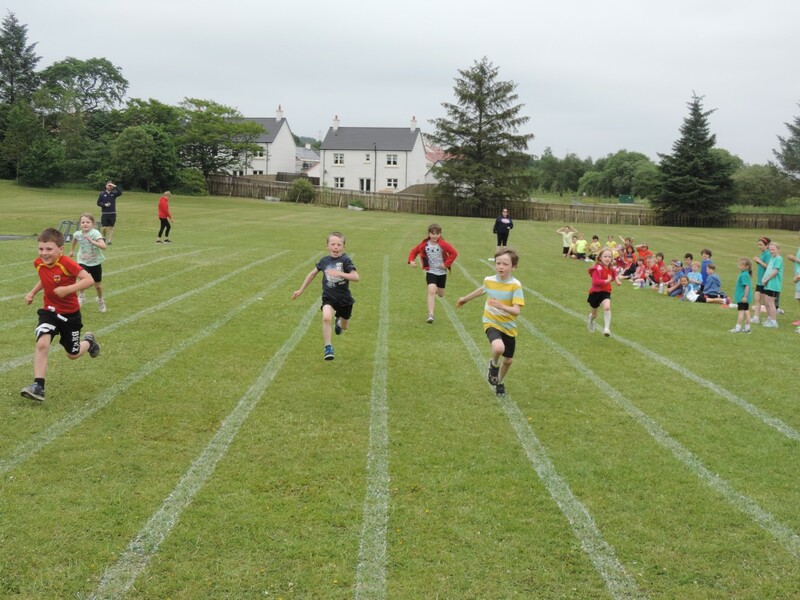 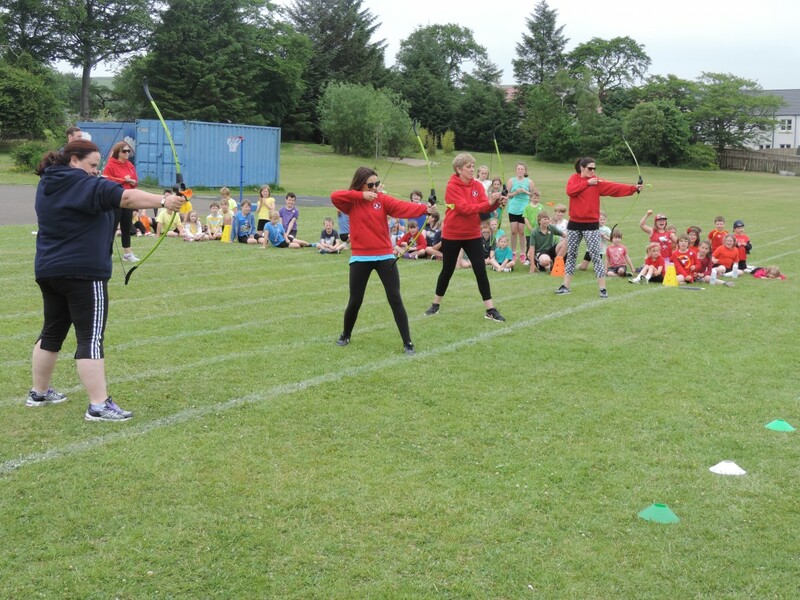 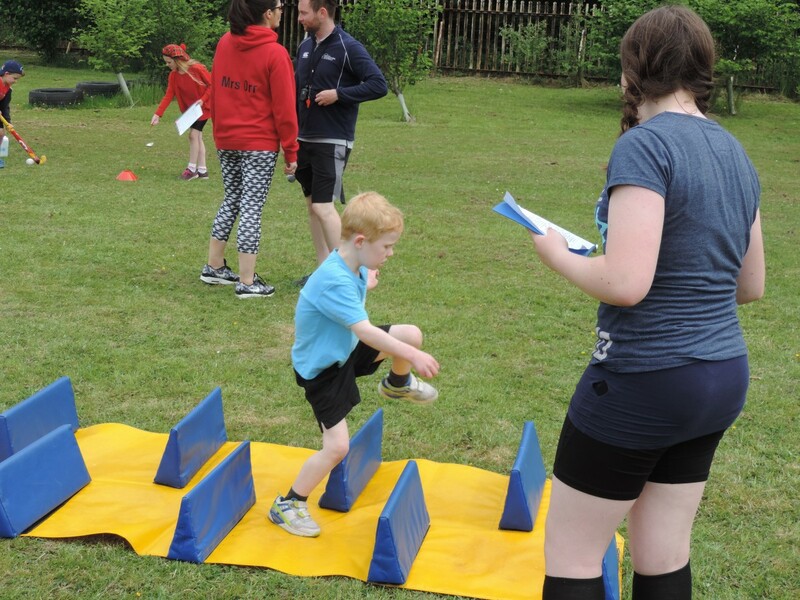 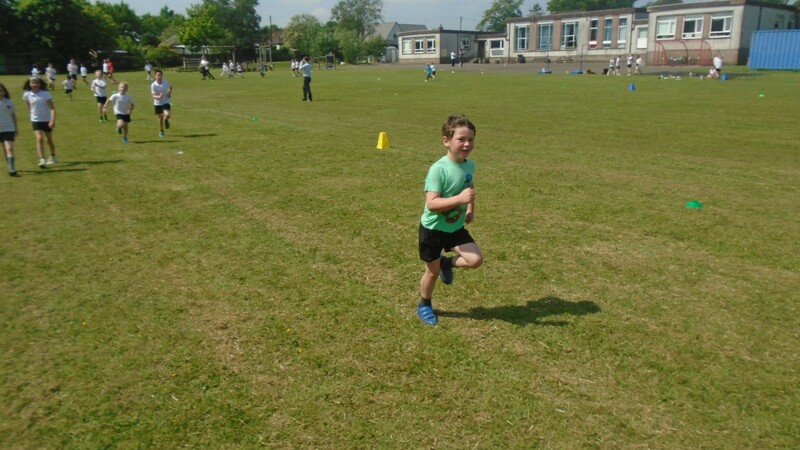 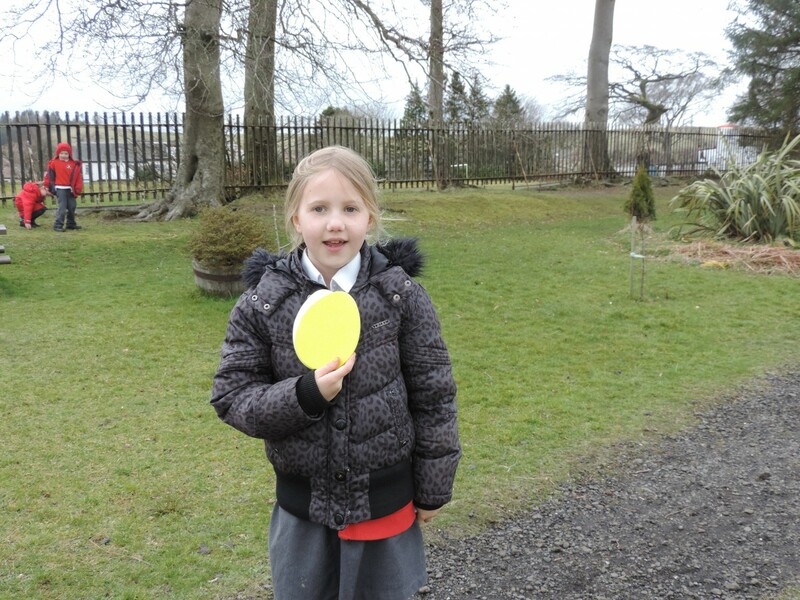 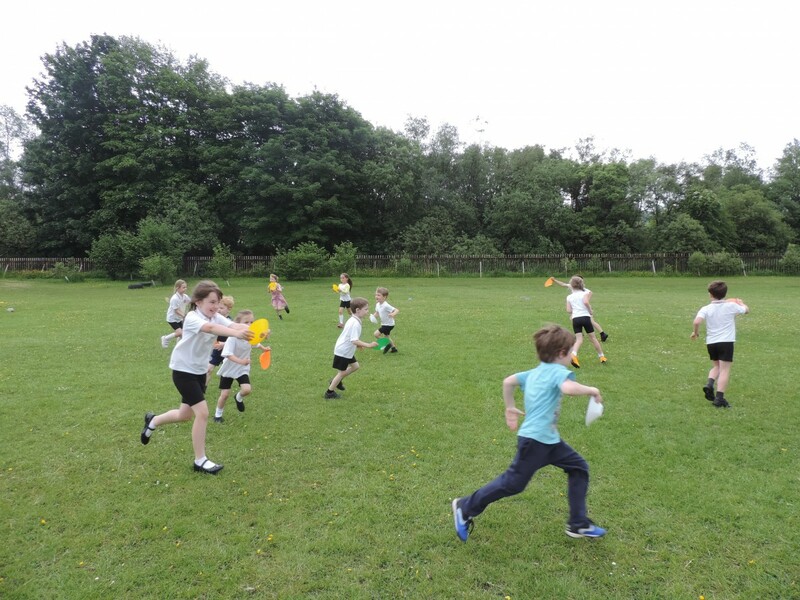 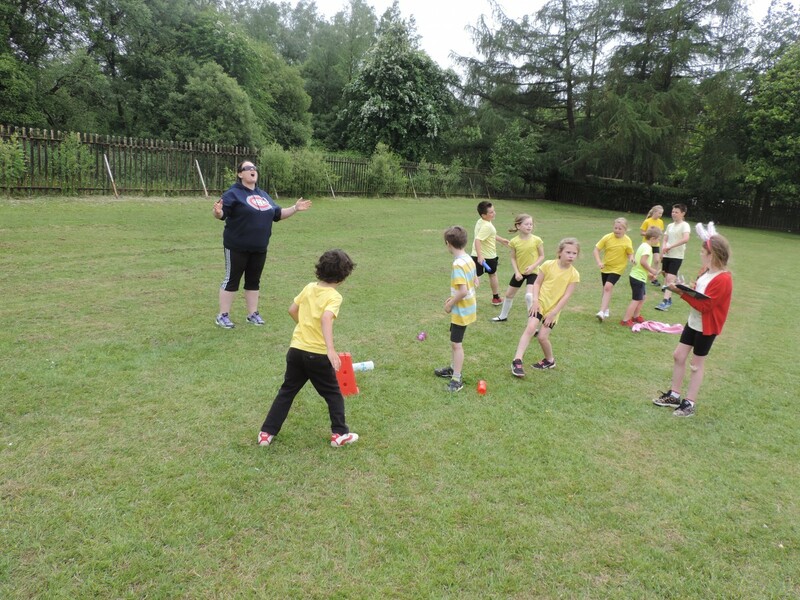 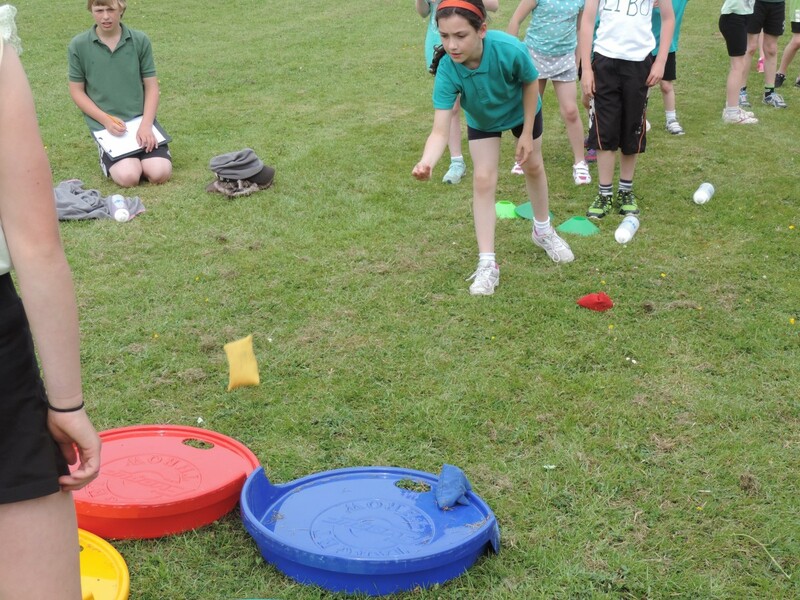 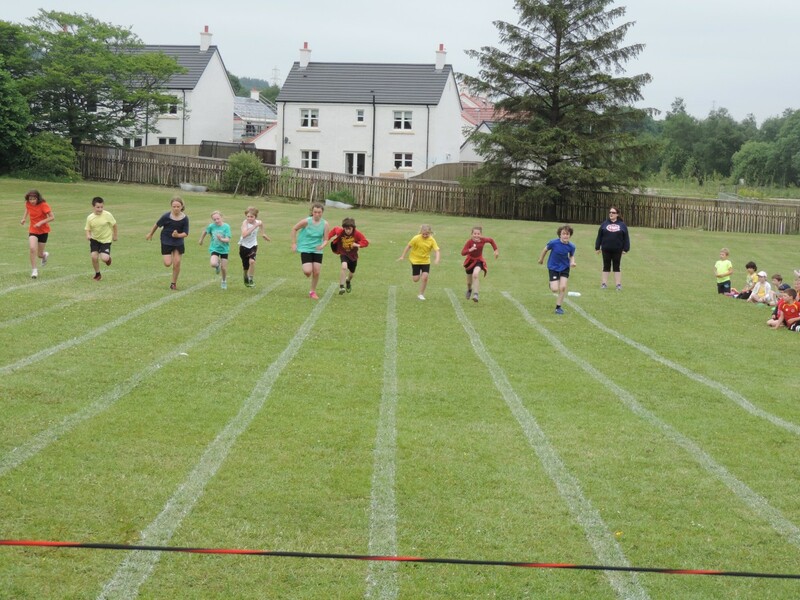 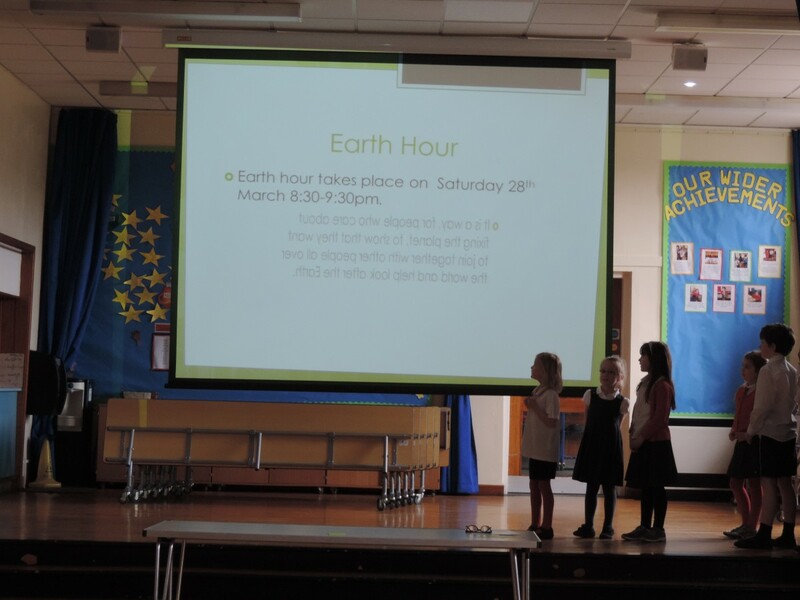 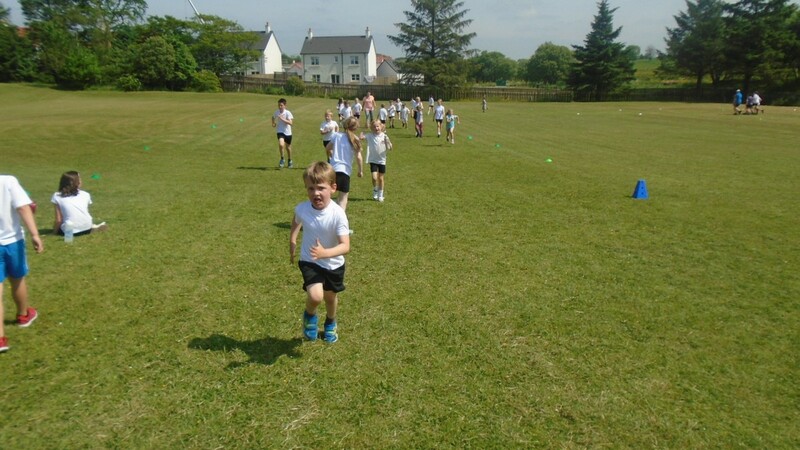 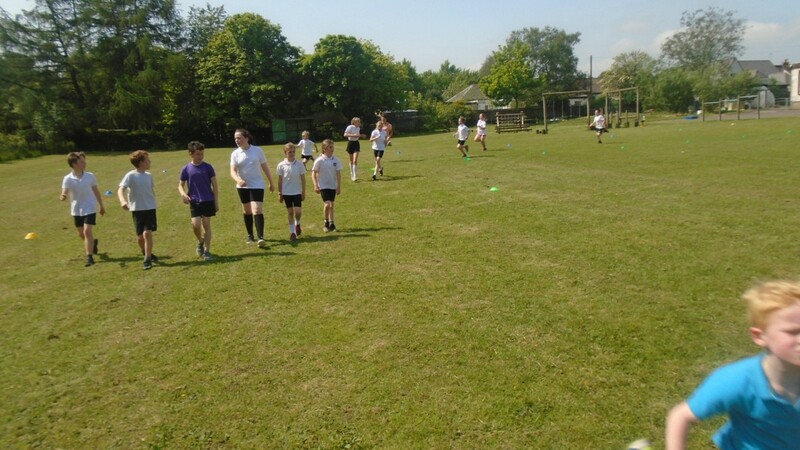 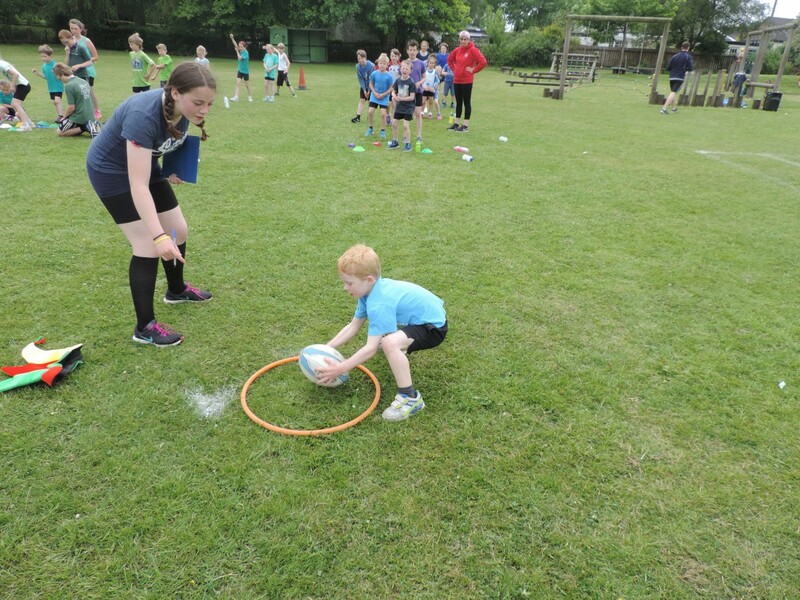 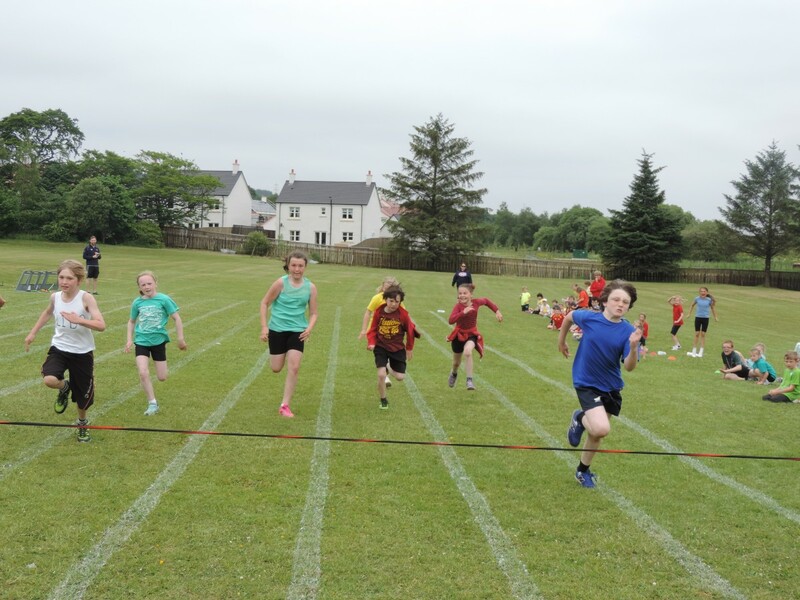 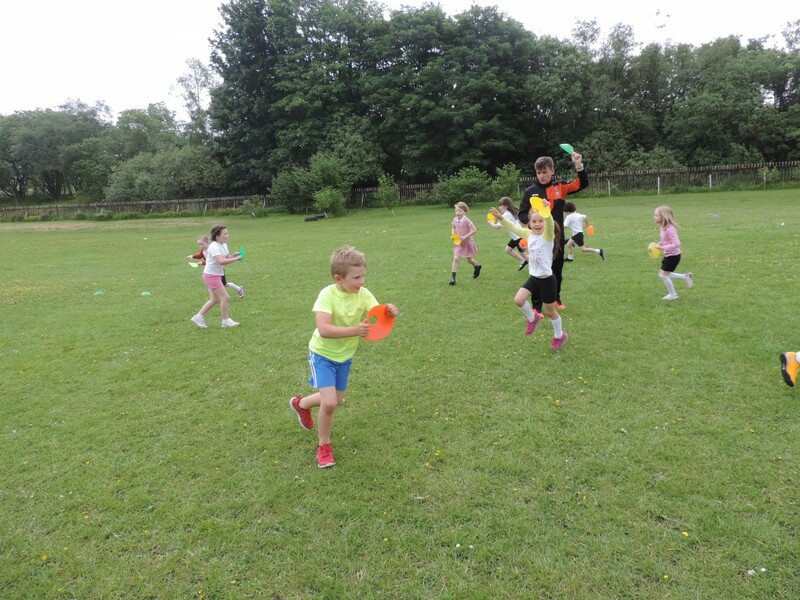 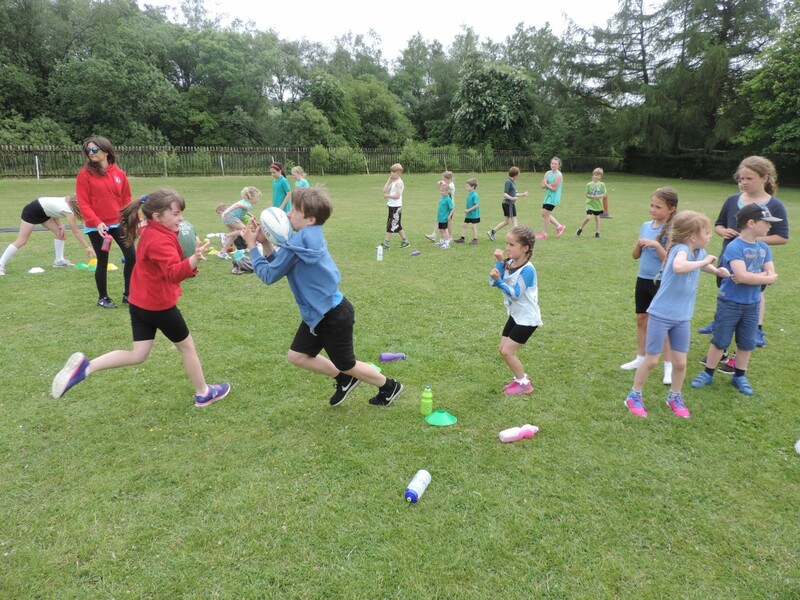 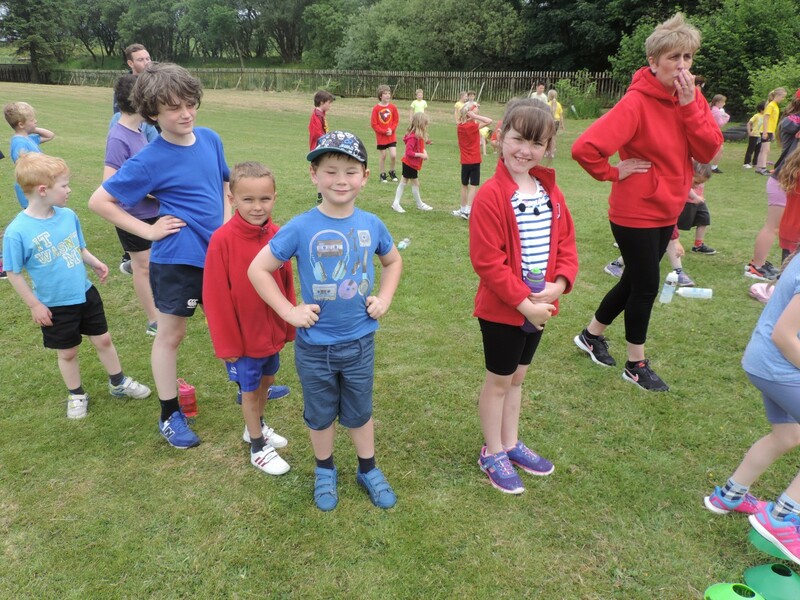 The children took part in a carousel of activities and competed in relay races at the end. 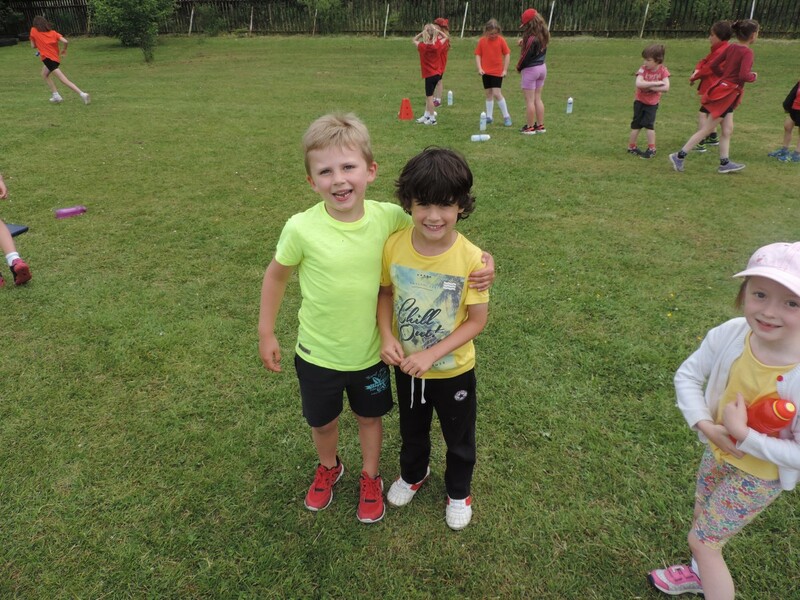 A great way to top off a wonderful week! 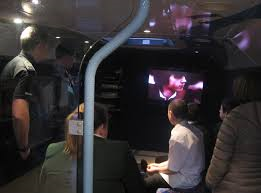 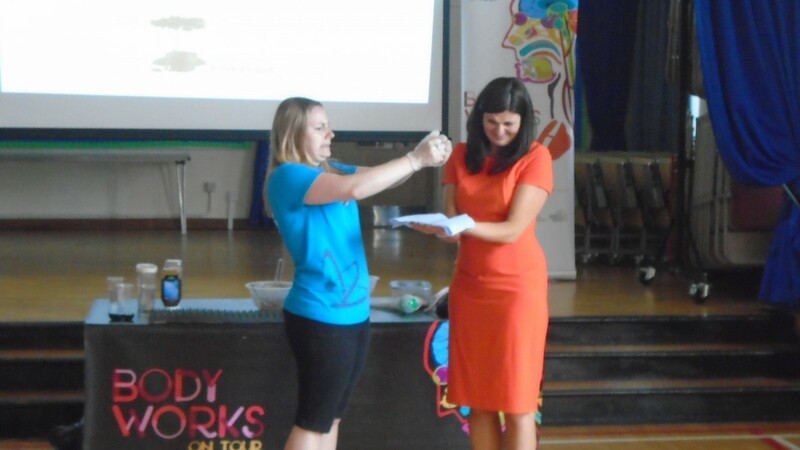 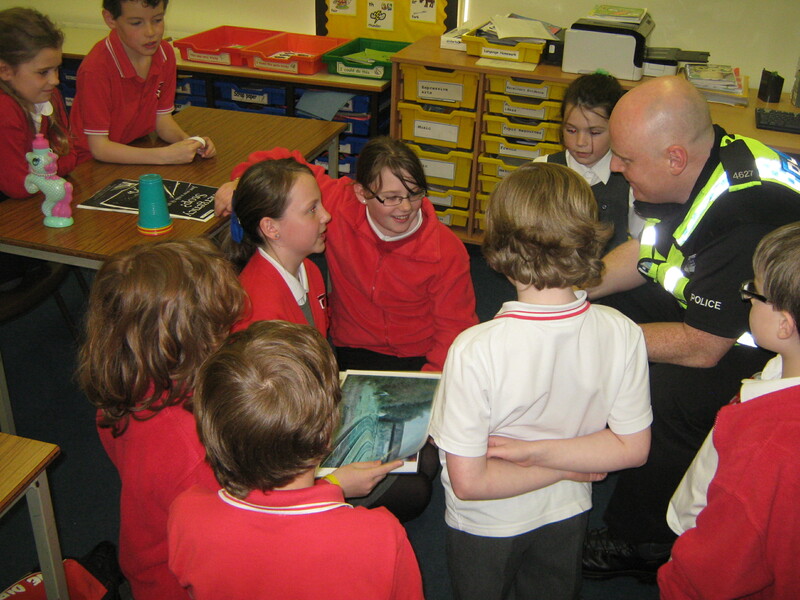 As part of our Health Week learning, the Glasgow Science Centre came to work with the children. 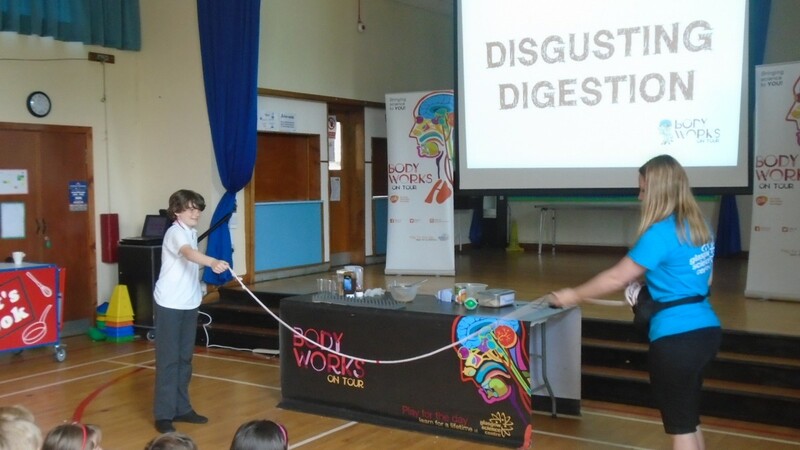 They learned about their internal organs and how our body copes with the food we eat. 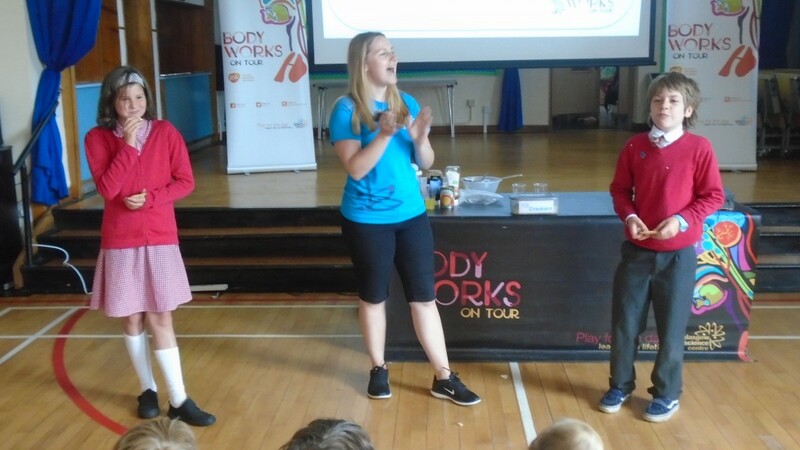 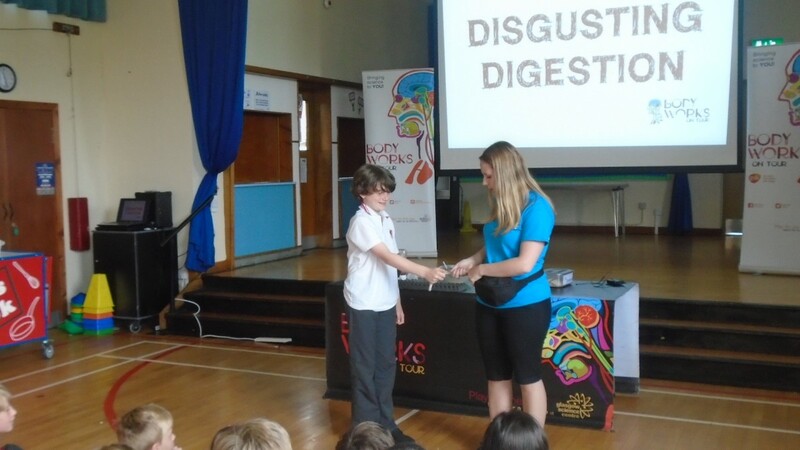 The Primary 6s and 7s learned all about digestion and the journey food takes through their body. 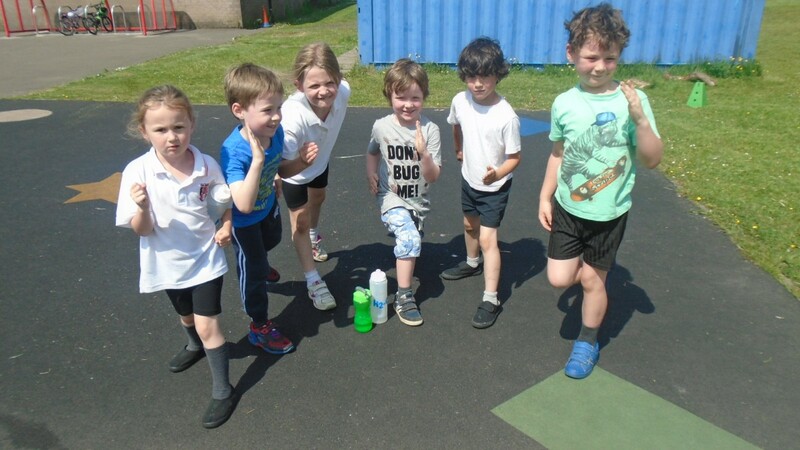 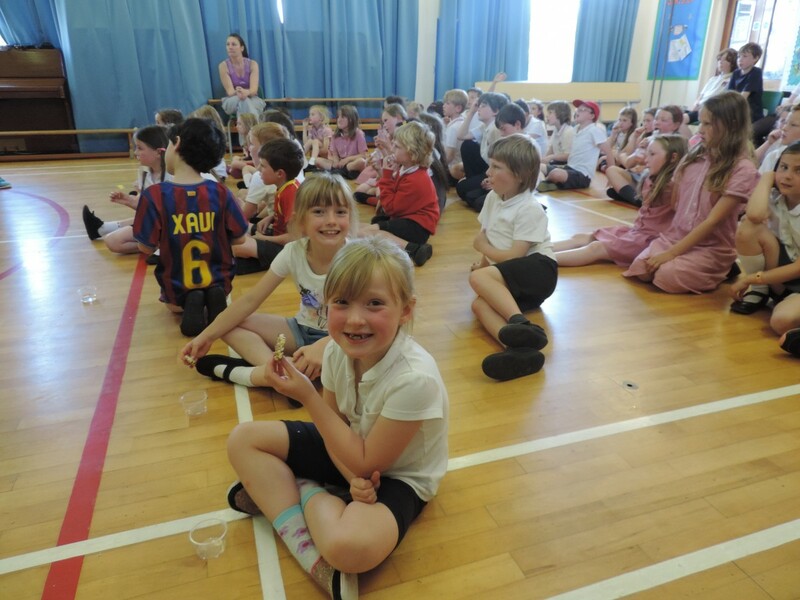 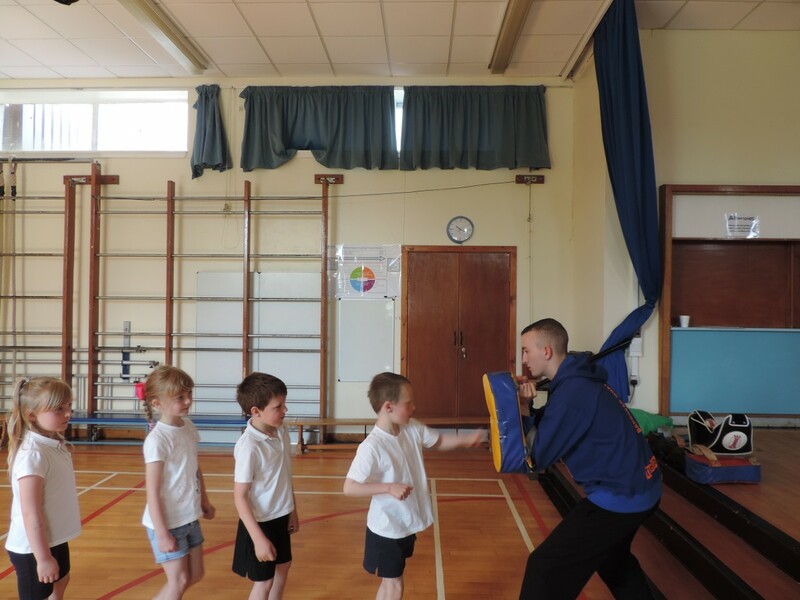 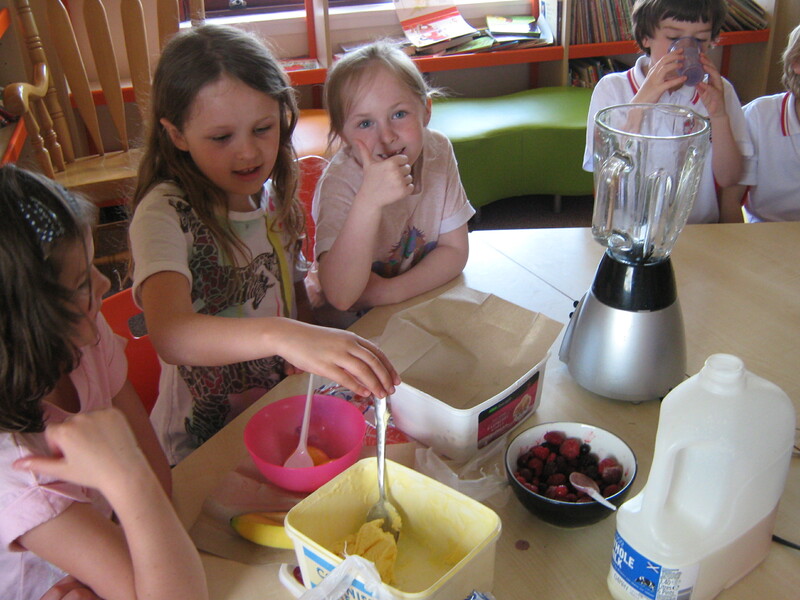 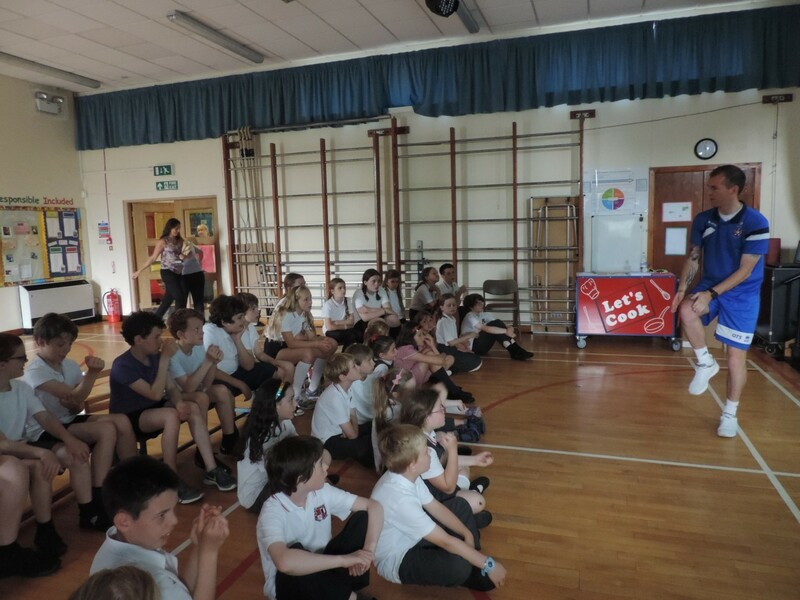 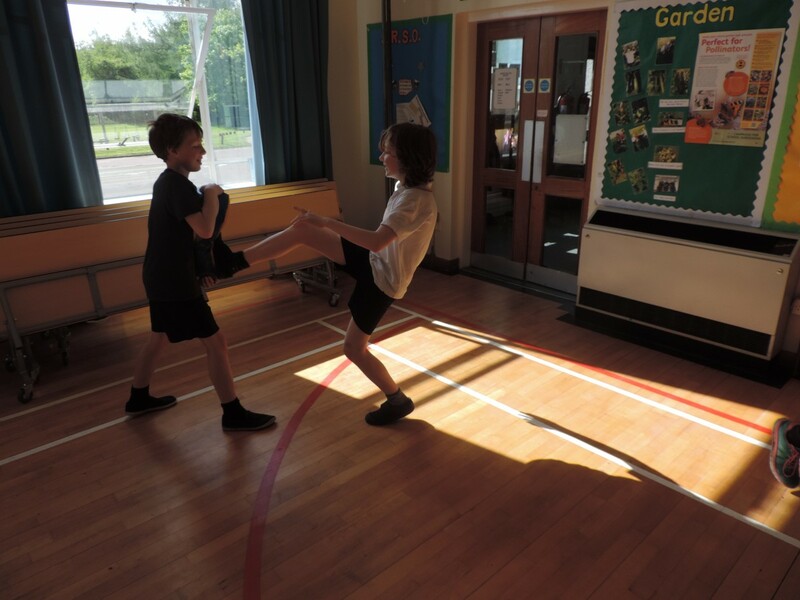 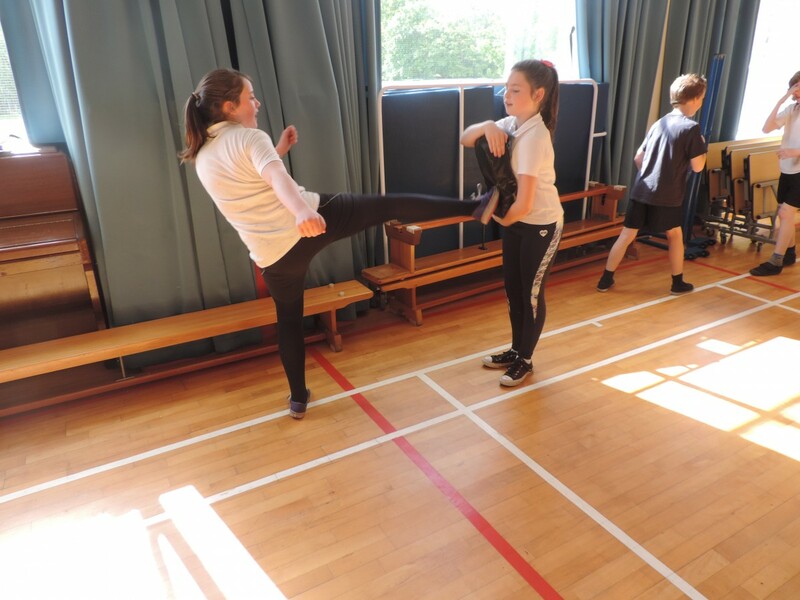 The boys and girls are continuing their Health Week activities and have been learning about food and fitness. 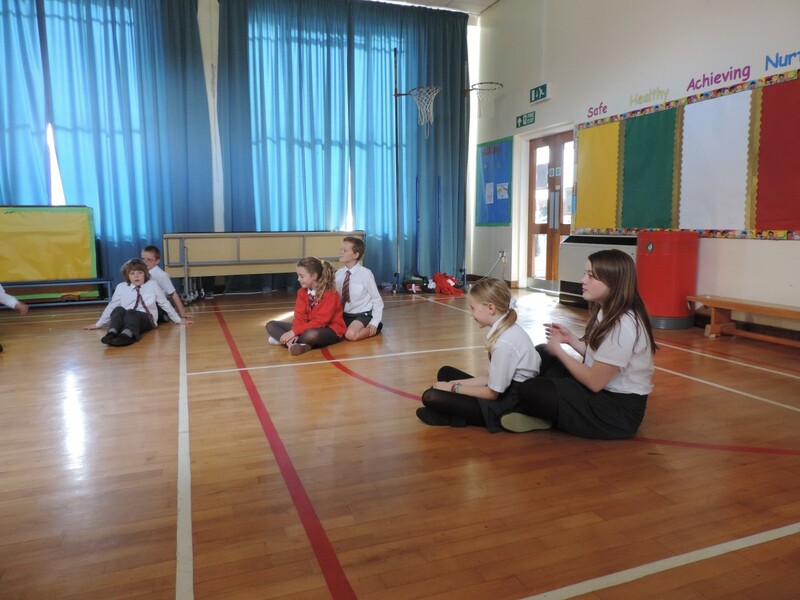 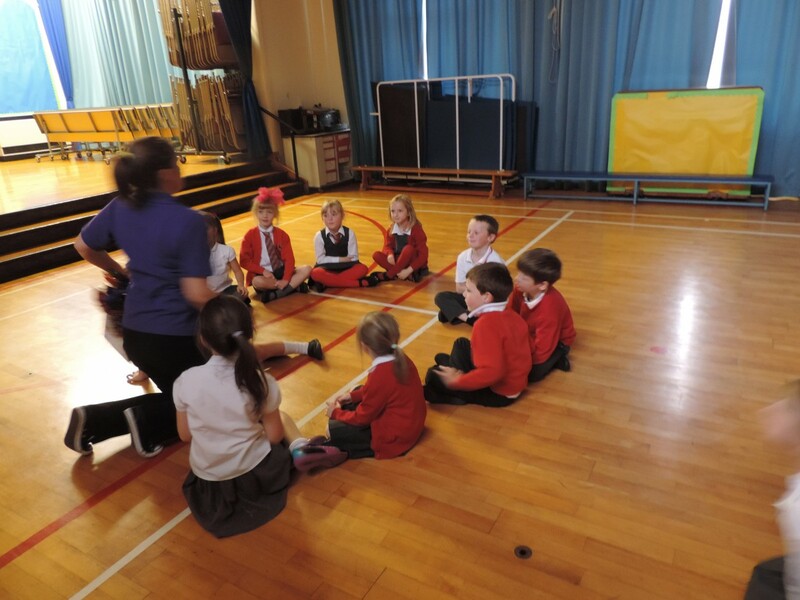 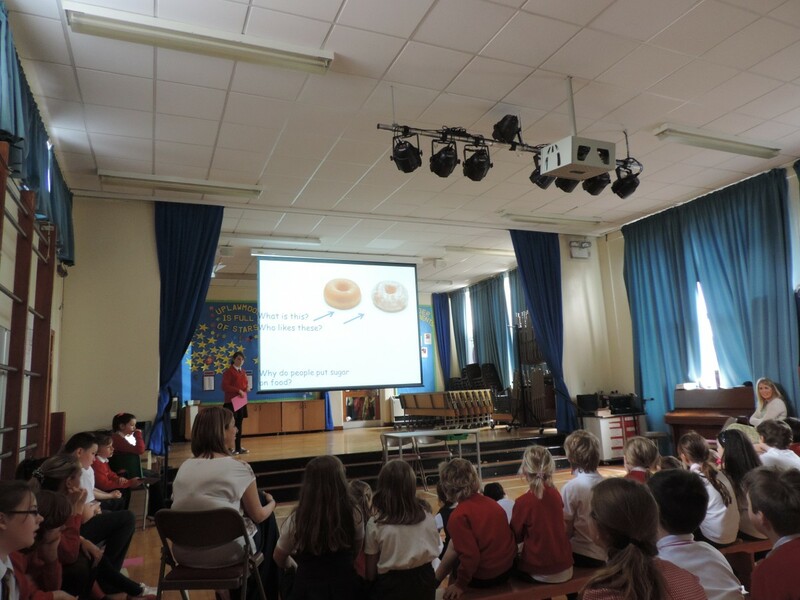 As part of the Health and Wellbeing programme across the school we have been working on the ‘You and Flu’ programme from NHS Scotland with Miss Bradley. 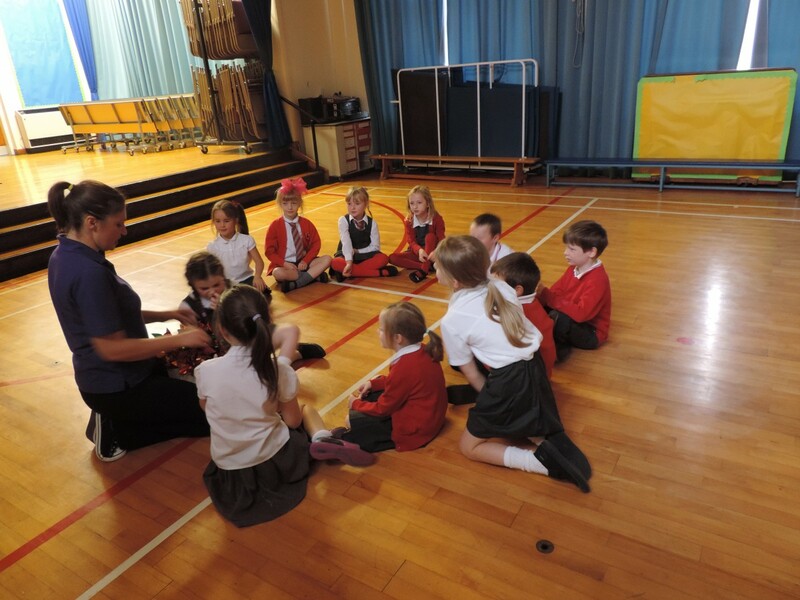 In primary 1 to 3 pupils have been learning about how easily flu germs can spread and the importance of hand washing to prevent this. 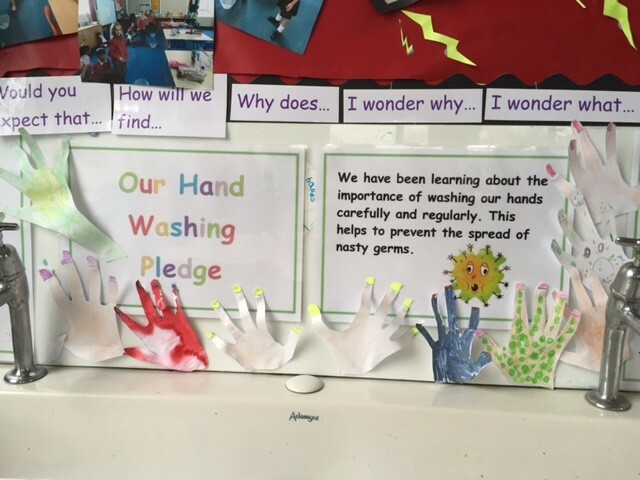 The made a ‘Hand Washing Pledge’ which is now on display in their classrooms. 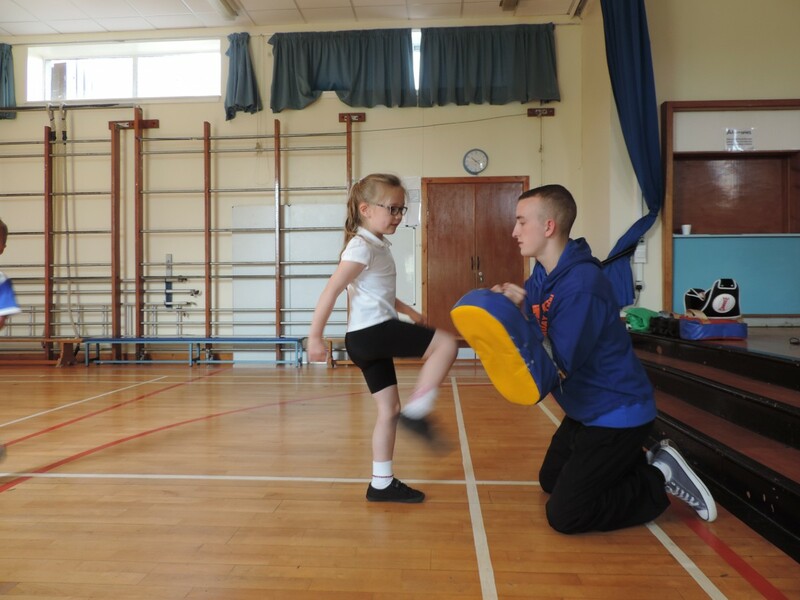 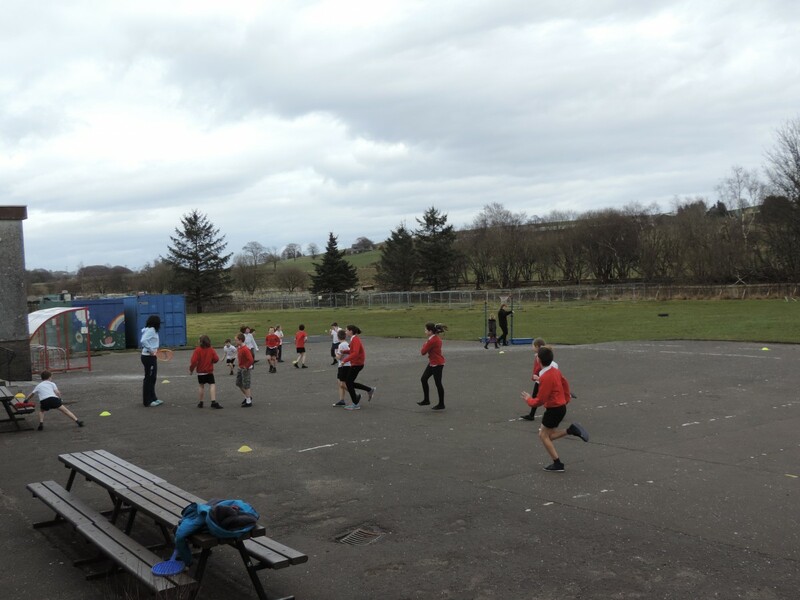 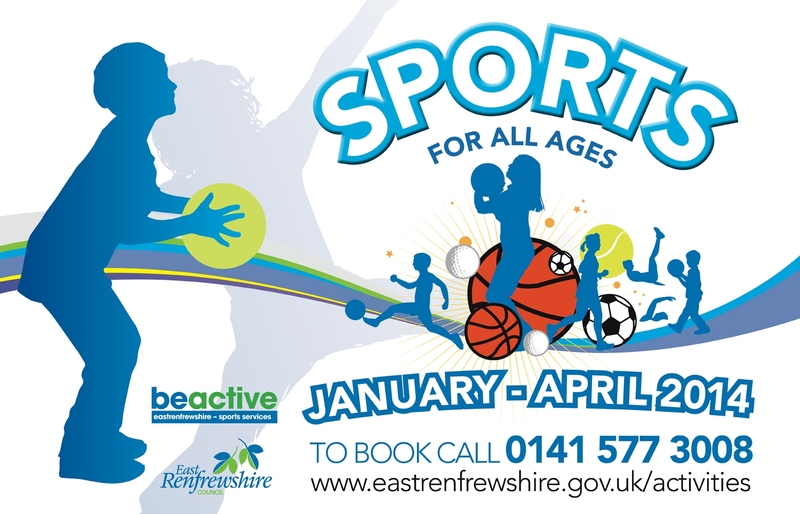 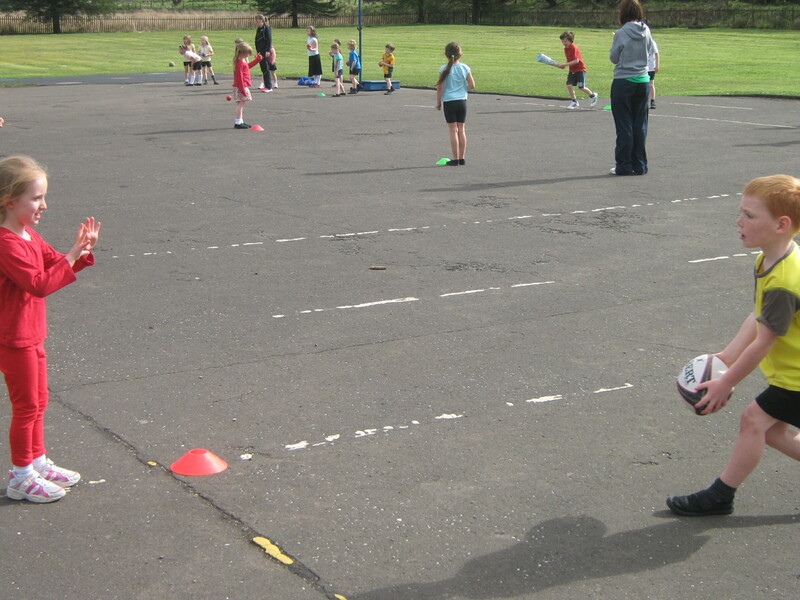 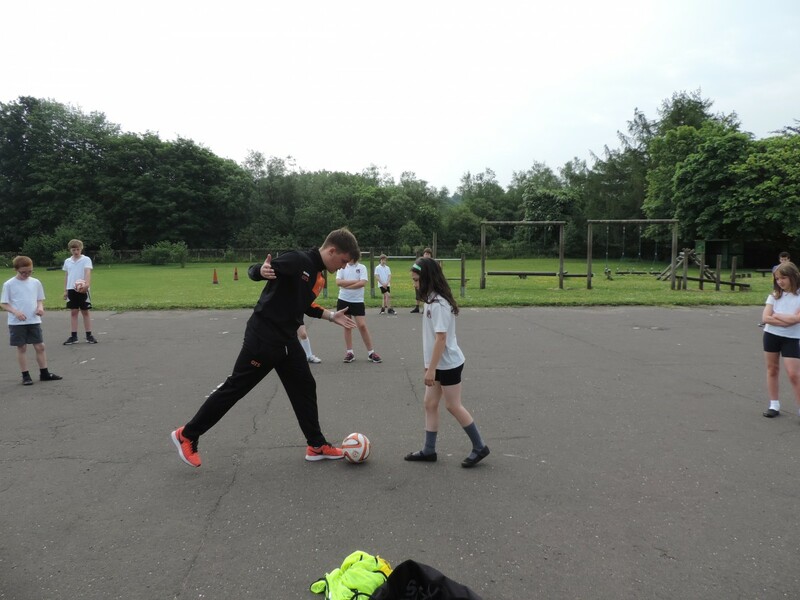 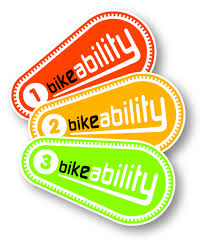 We have had an energetic week this week and we have all had the opportunity to try out a variety of sports. 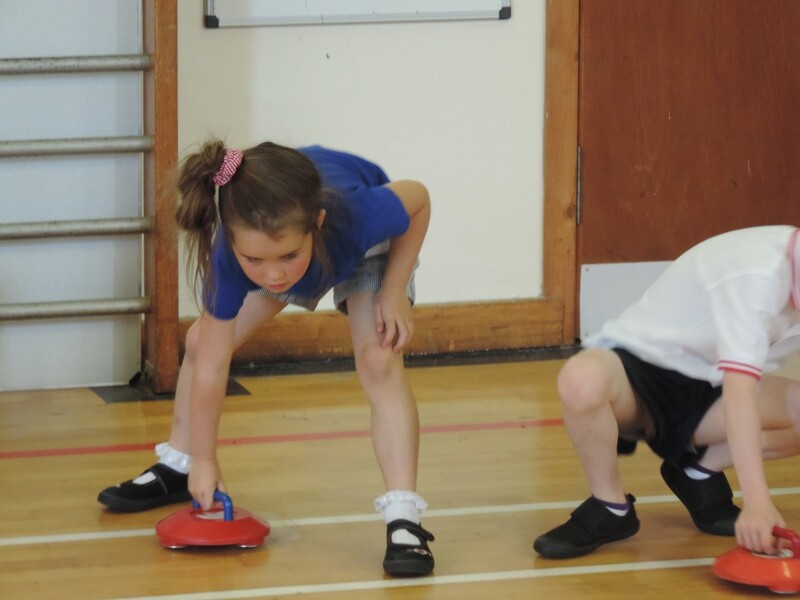 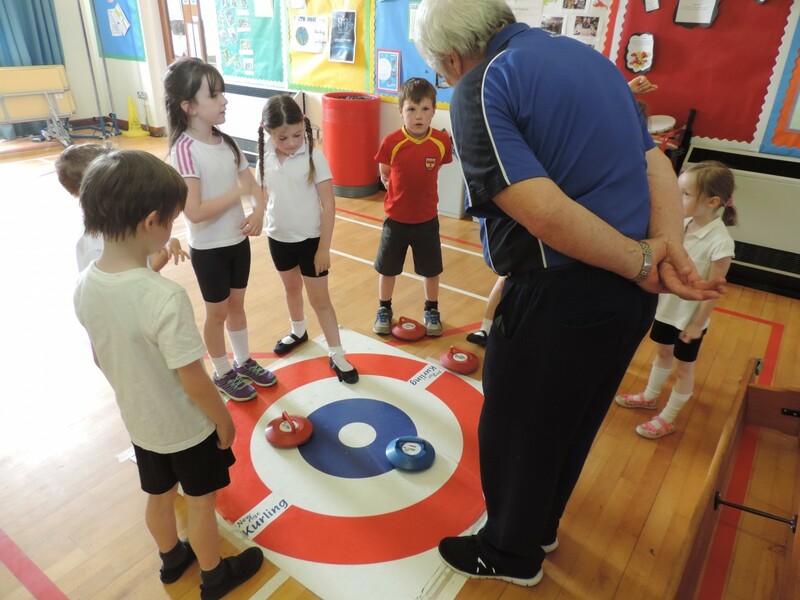 Yesterday we played golf at Caldwell and took part in some Curling in the hall. 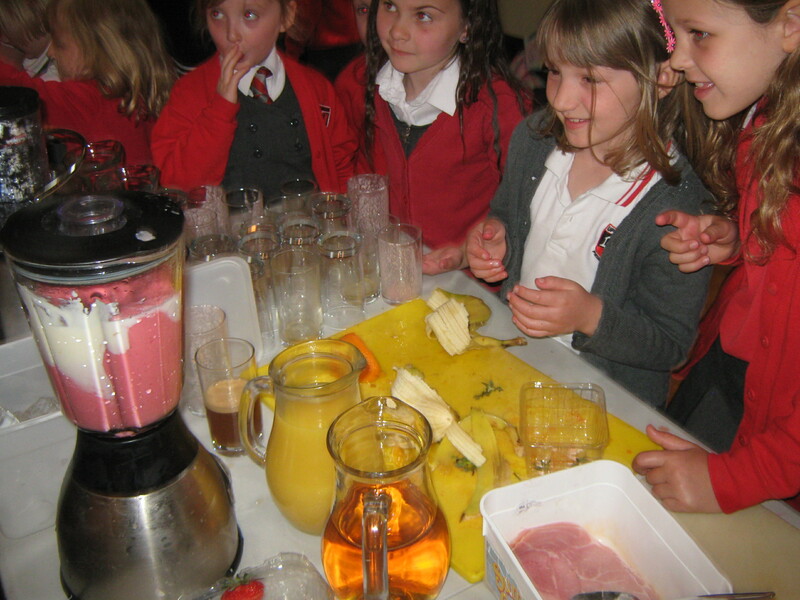 Tesco came to see us in the afternoon and kindly brought some exotic fruits for us to taste. 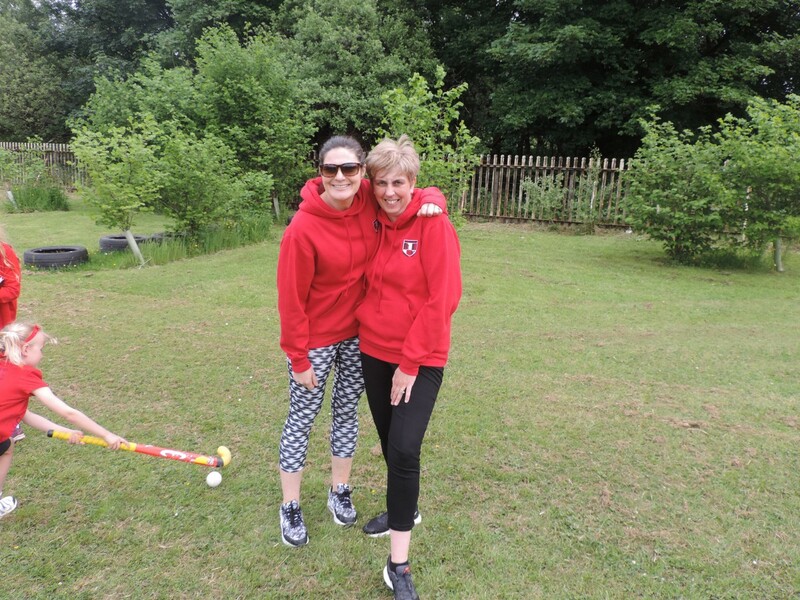 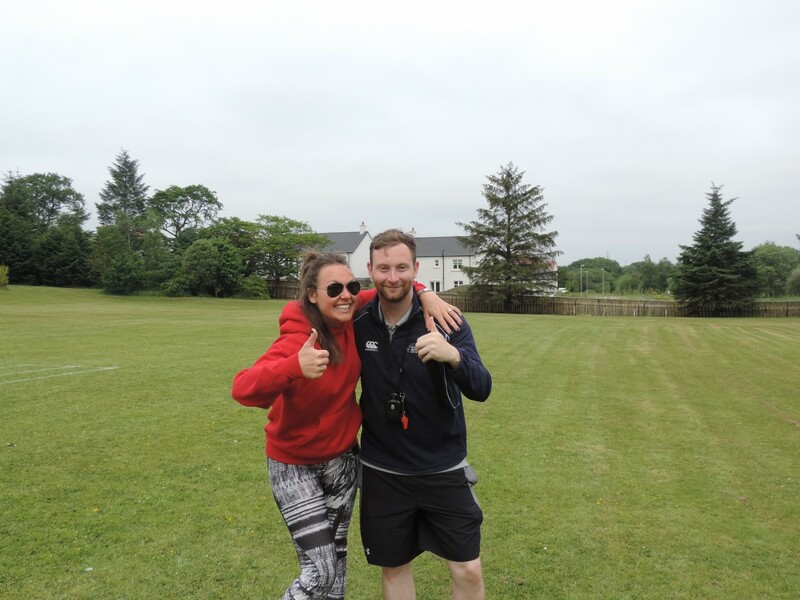 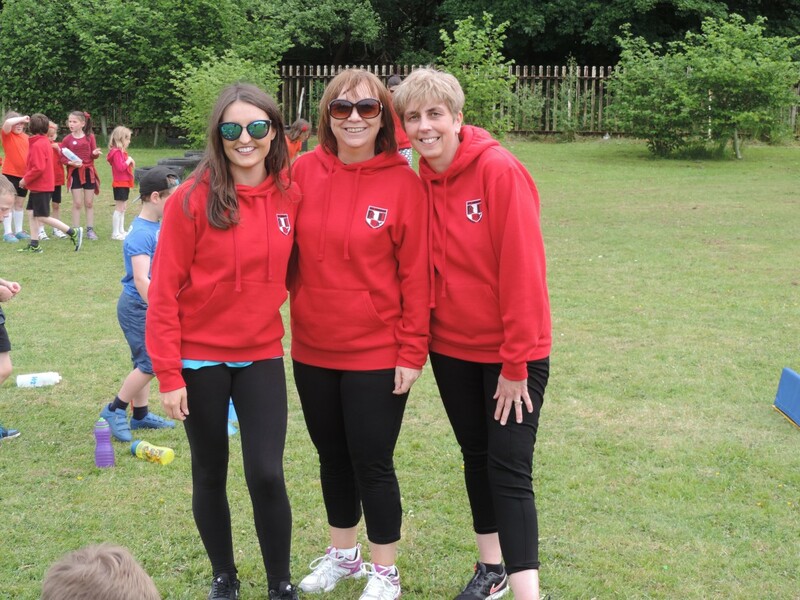 We would all like to say a huge thank you to Mrs Crawford for organising such a fantastic week for the staff and children. 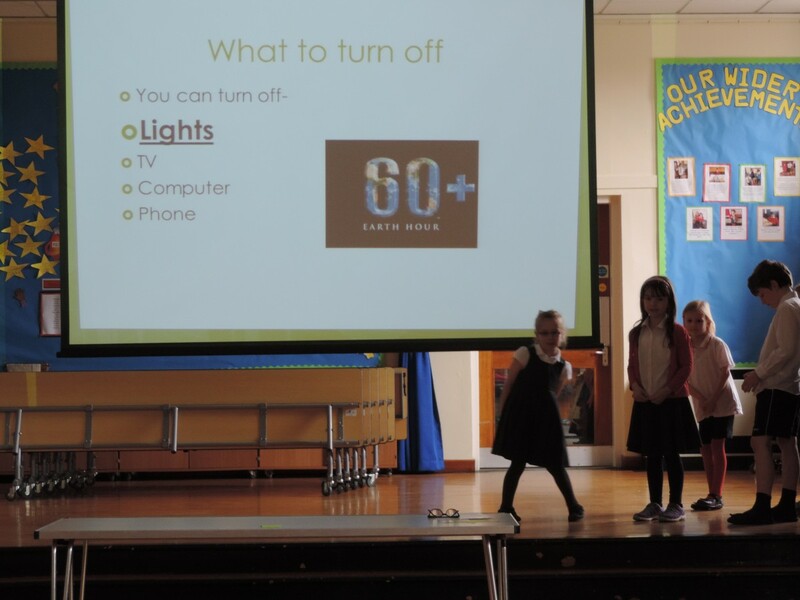 Also, a huge thank you to all the experts who came to our school (or allowed us to come to them). 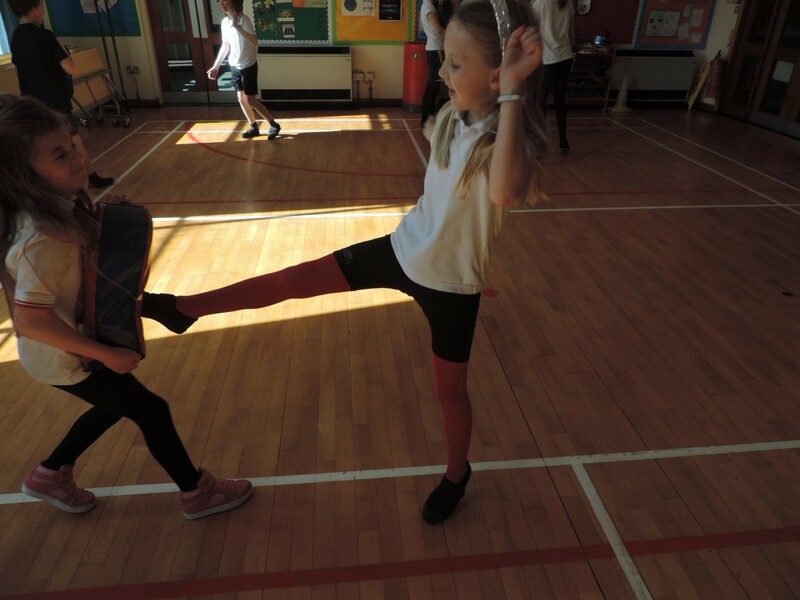 Primary 3/4 study the Human Body! 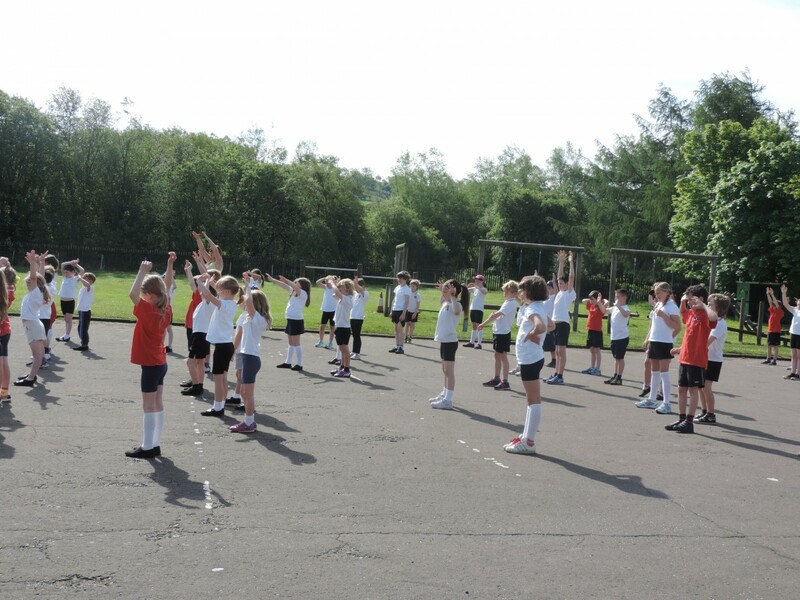 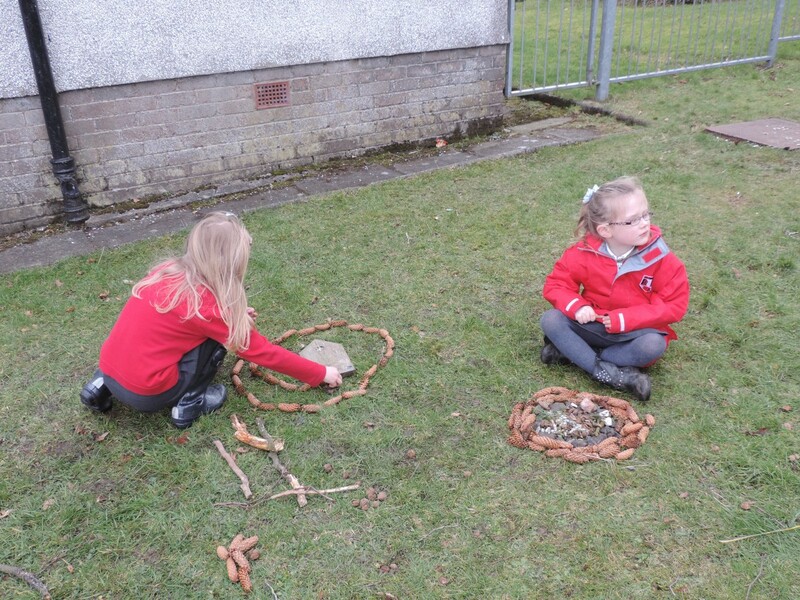 Primary 3/4 are learning about the human body. 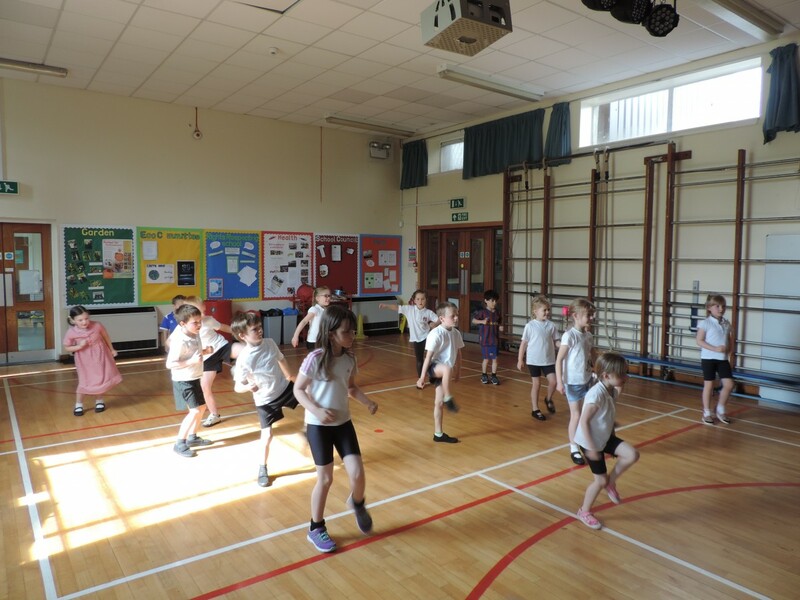 We have been singing a song called ’10 Bones’ and we have been doing lots of exercises to make our bones strong and healthy. 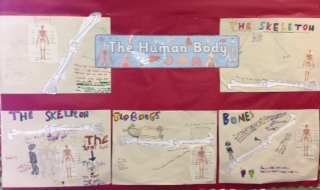 Here is a picture of ‘bones’ posters. 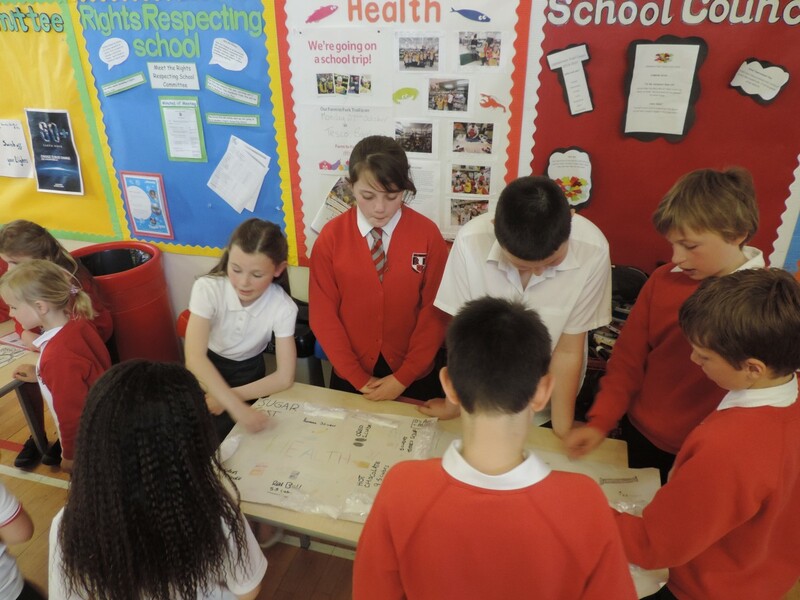 We are in the middle of writing a story about Superhumans. 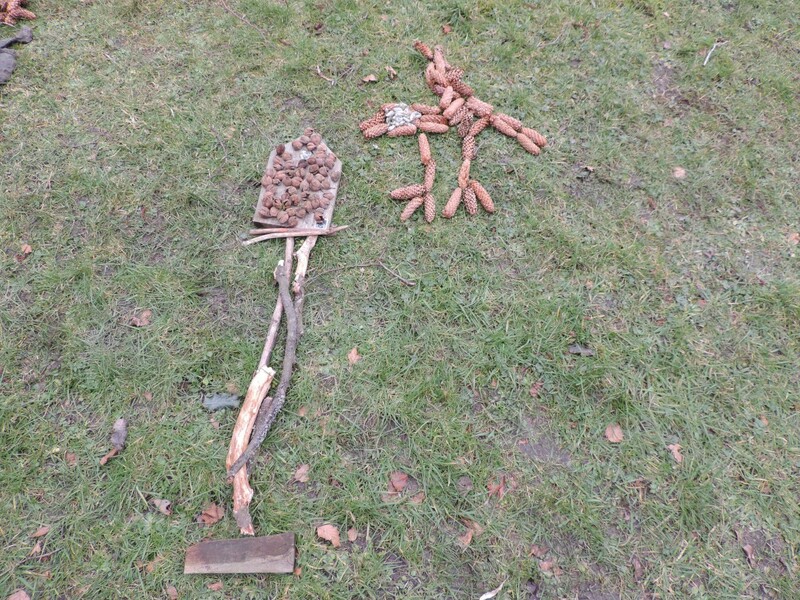 My story is about a man named Lloyd who drank a potion by mistake and all of his bones detached and he became an angel! 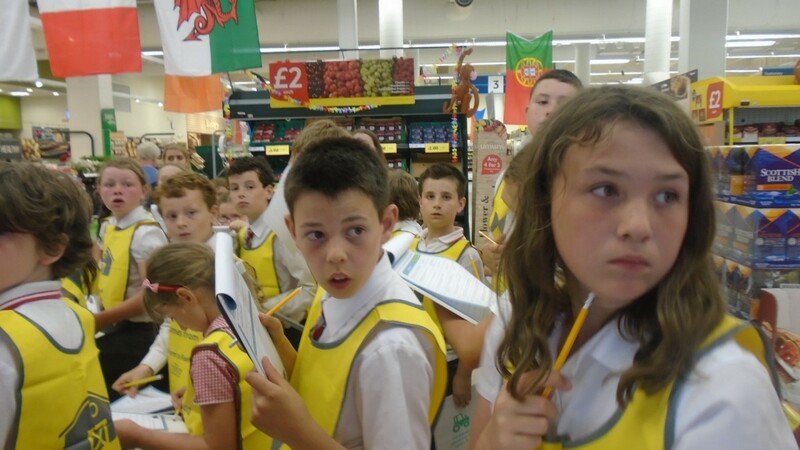 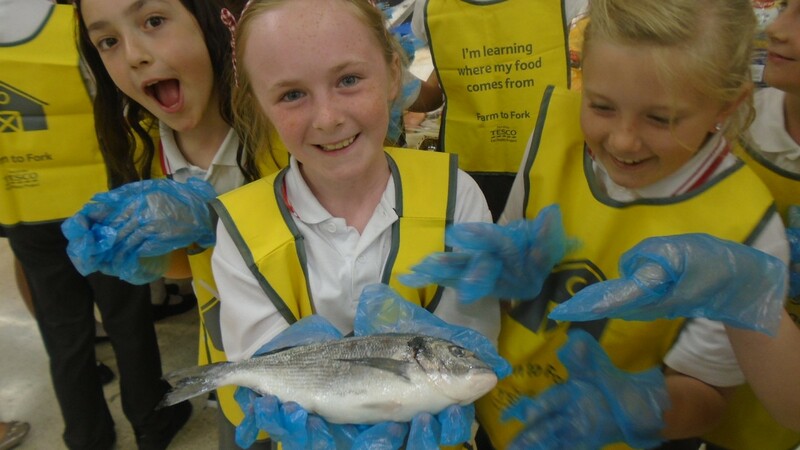 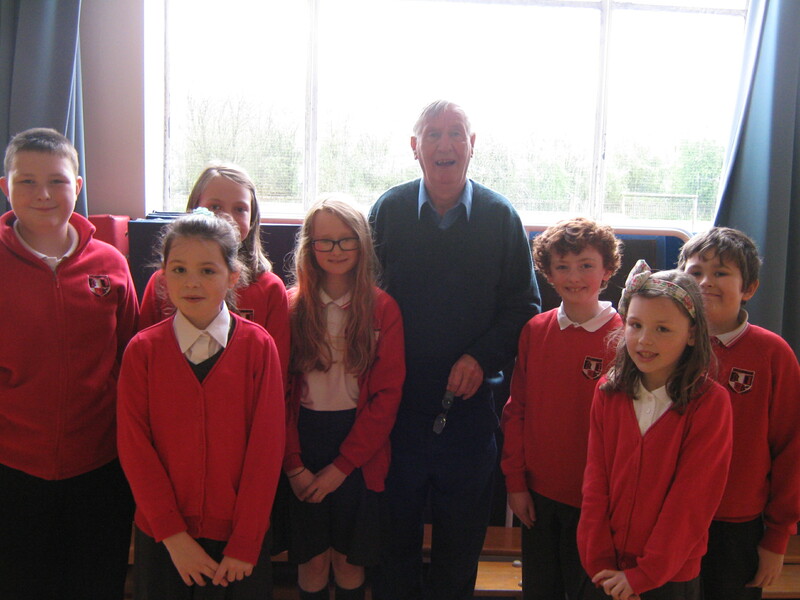 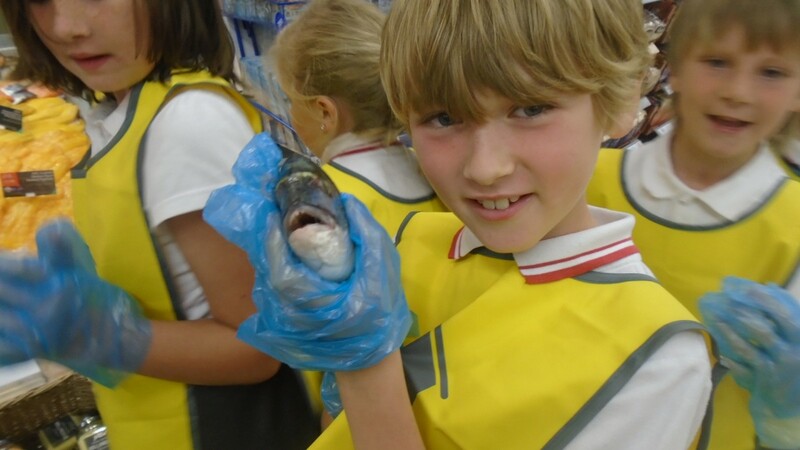 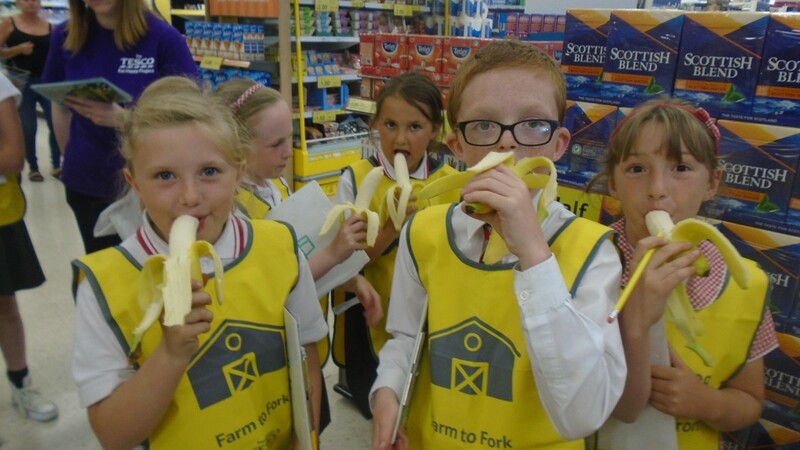 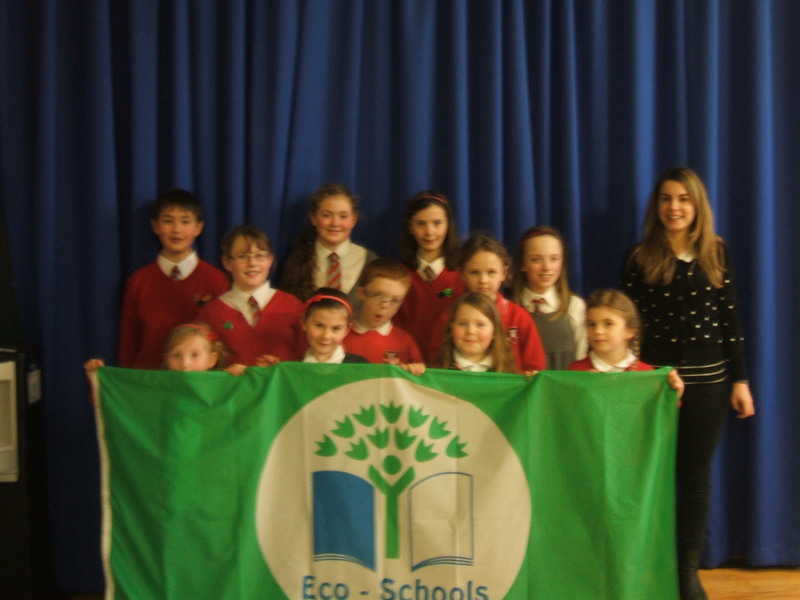 On Wednesday 8th October, some pupils from Uplawmoor Primary were chosen to go to Wholefoods supermarket in Giffnock. 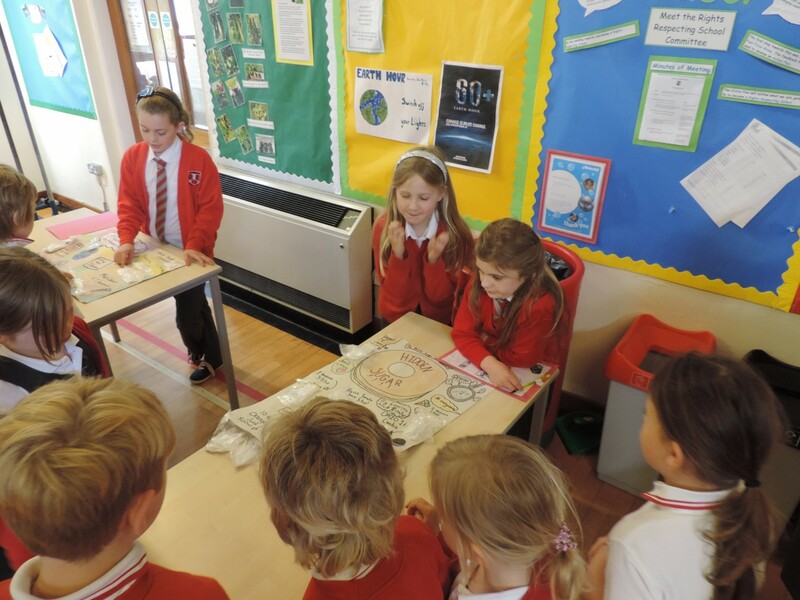 Tiana, Emma, Amy, Abigale and Josh went along to learn about the packaging of foods. 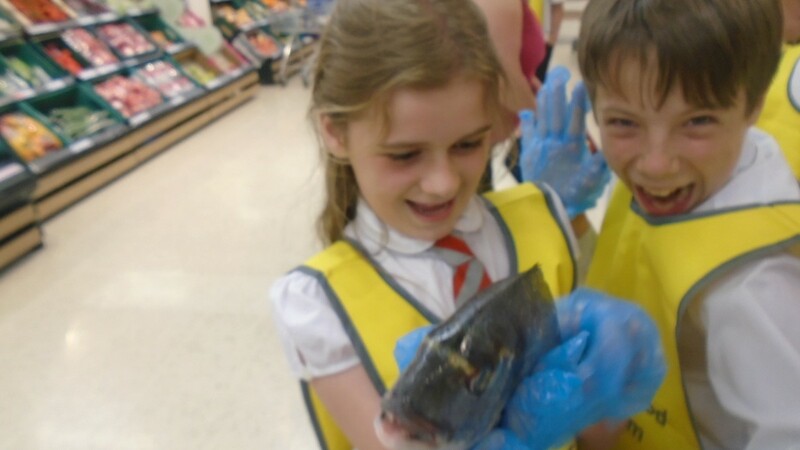 We learned about what makes a great label and what information must be on a label. 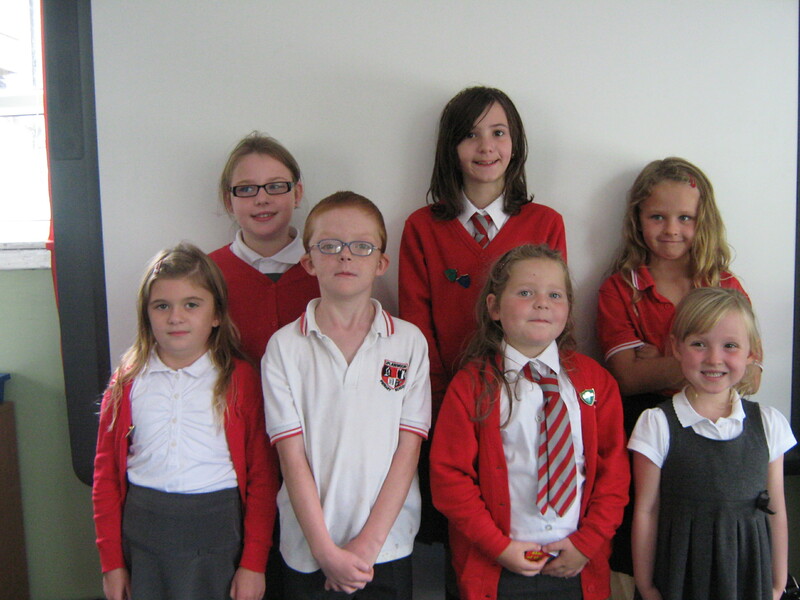 We have been given the chance to create our own label which will be stuck on our own crab apple jelly. 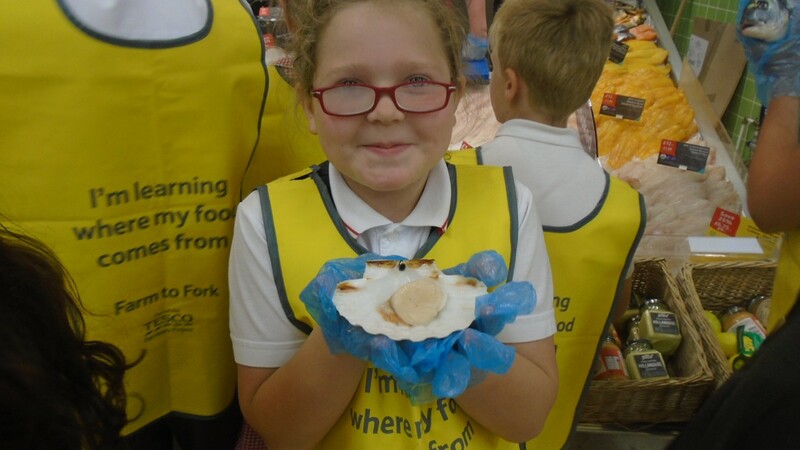 We are in the middle of designing our artwork which will be sent to Wholefoods and used for our own jelly. 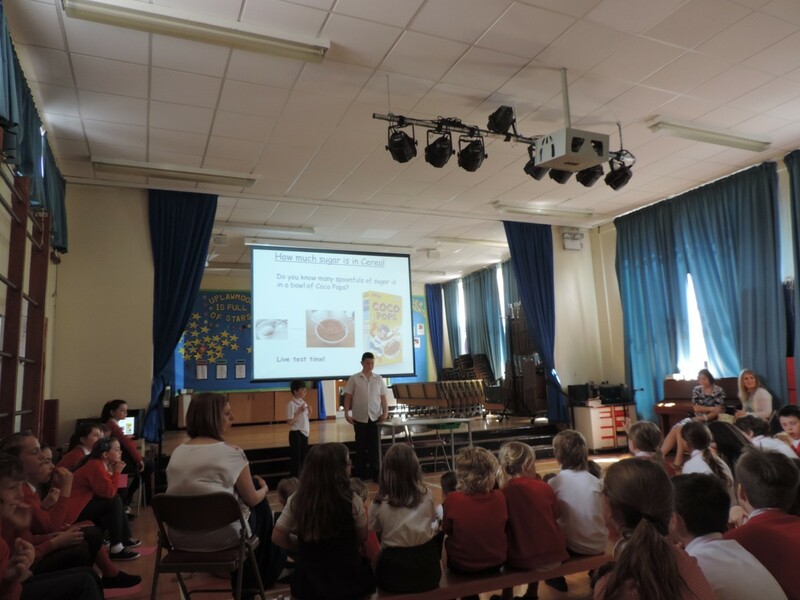 It’s really exciting! 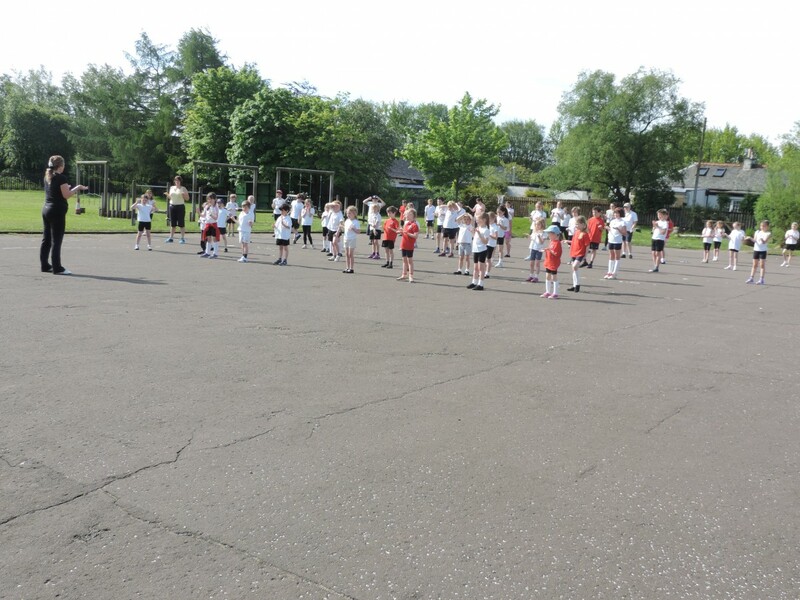 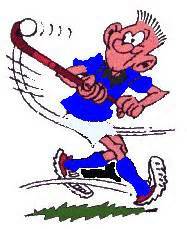 Primary 5 pupils Amy, Emma, Emily, Megan-Jane, Lauren and Dean had a super time at the Hockey Festival at Eastwood High School on Monday.